In the mid-90s, Times Square was undergoing massive redevelopment. 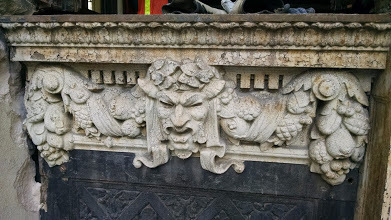 Some of our first salvage finds were from well-known Times Square venues, including the Rialto, Lamb, and Ford Theaters. 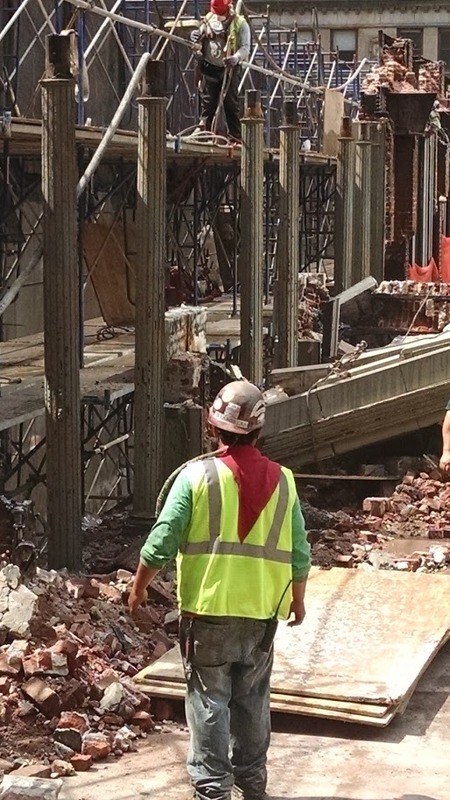 Now, almost 25 years later, Times Square is undergoing more changes, and Olde Good Things is on the job for another theatre salvage. 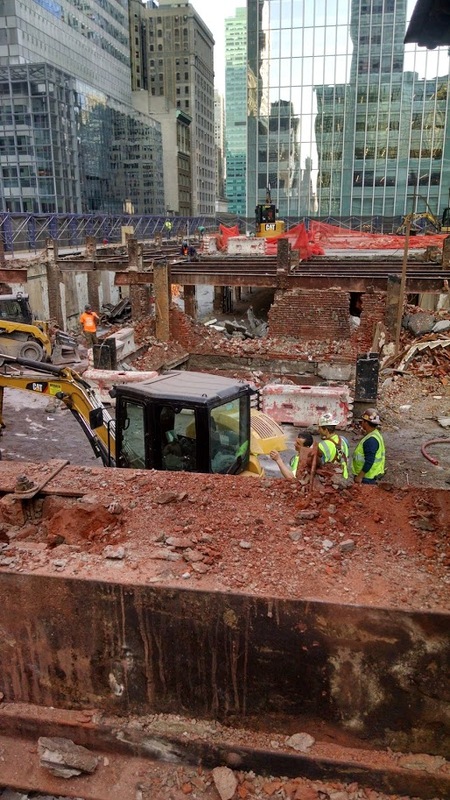 But this time, rather than raze a building to the ground, developers plan to raise the theatre up! 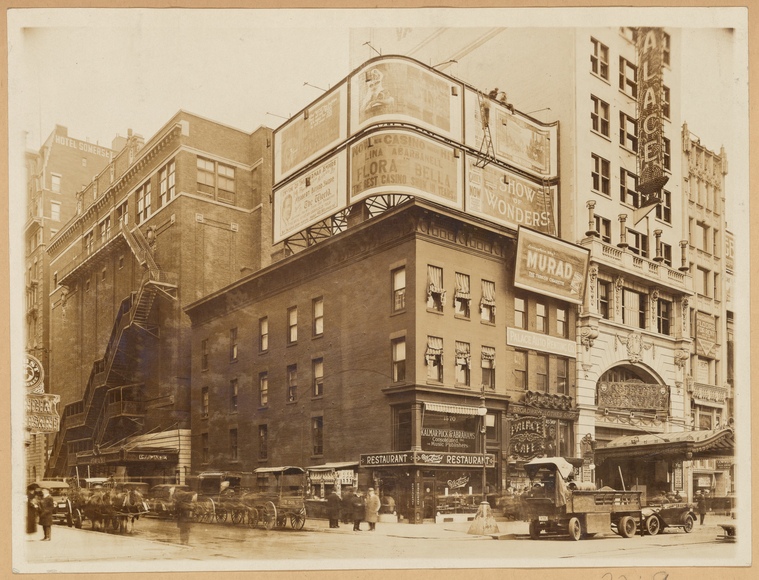 Located in the heart of Times Square at W. 47th Street and Broadway, the Palace Theatre first opened in 1913. 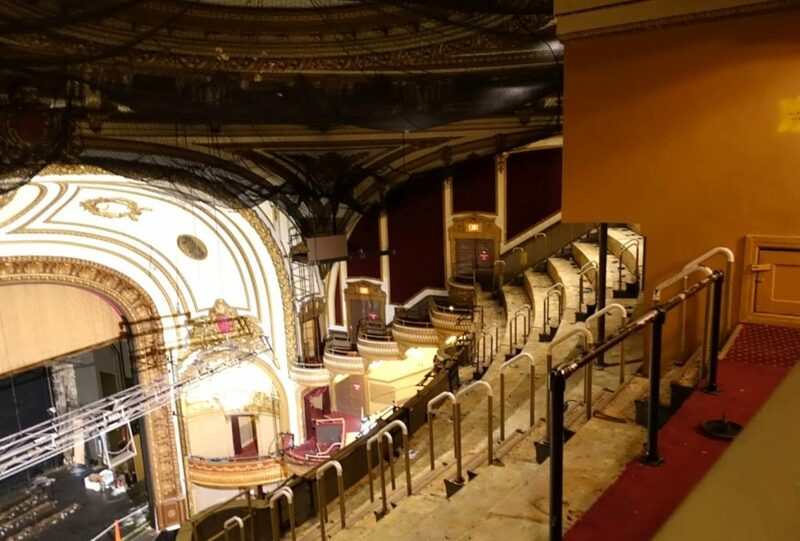 Designed by Milwaukee architects Kirchoff and Rose, it is one of the largest theaters on Broadway, with three levels of seating and tiered, parquet-style boxes accommodating over 1,700 patrons. 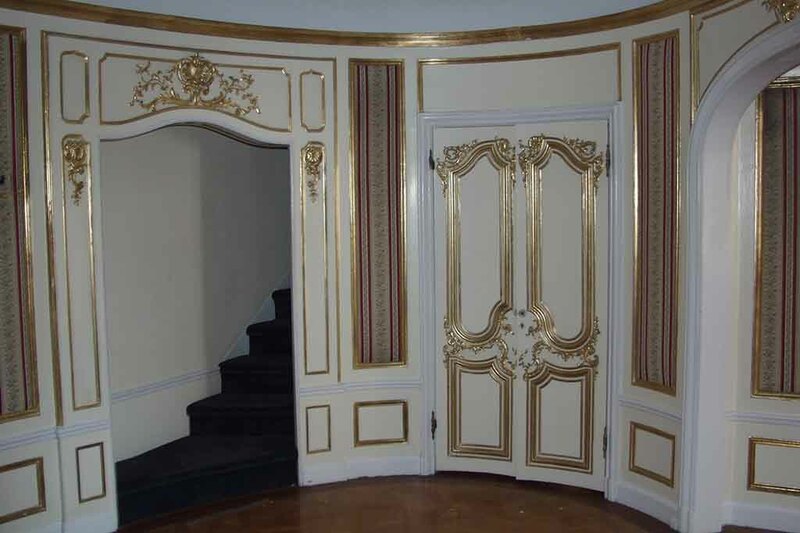 The New York Landmarks Conservancy designated its famous baroque interior as an Interior Landmark in 1987. The Palace was a vaudeville center from its 1913 opening through the early 1930s; actor Jack Haley called it “the epitome of the more than 15,000 vaudeville theaters in America.” Performers dreamed of “playing the Palace,” and its stage was graced by such legends as Ethel Barrymore, the Marx Brothers, Bob Hope, Mae West, and Fred Astaire. In the 1940s and 1950s, the Palace struggled to find its niche as a venue, serving mostly as a movie house as ticket sales for live performances dwindled. Notably, in 1941 the Palace was the site of the world premiere of Citizen Kane. In the 1960s, the Palace was renovated and transformed into a full-fledged Broadway theater. Its first show was Sweet Charity, starring Gwen Verdon and choreographed by Bob Fosse (both well-known to viewers of the new FX series Fosse/Verdon). 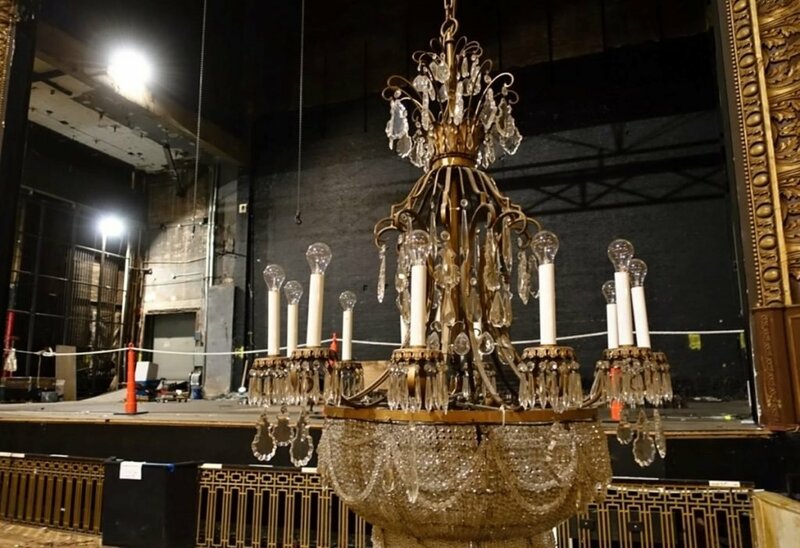 More recently, the Palace housed productions of Beauty and the Beast, Aida, and An American in Paris. 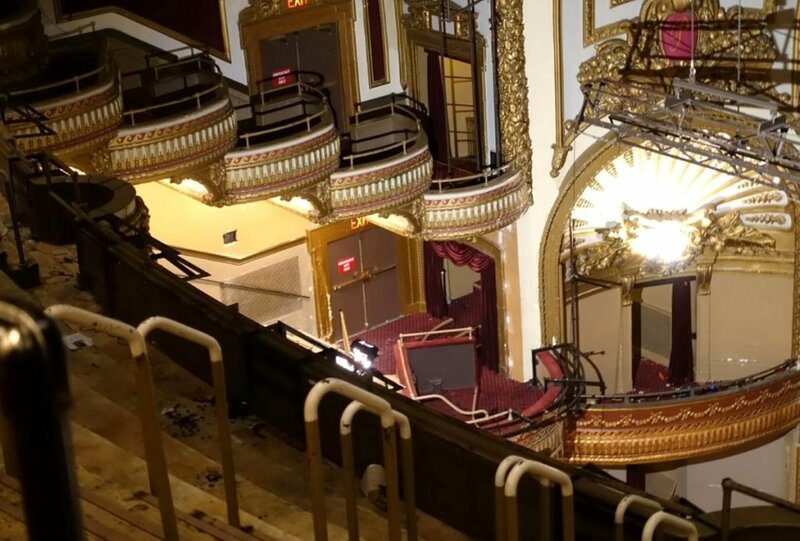 In 2018, after a final run of SpongeBob SquarePants: The Broadway Musical, the Palace closed down as part of a massive building renovation called TSX Broadway. This unusual project includes plans to raise the Palace interior three stories (nearly 30 feet! 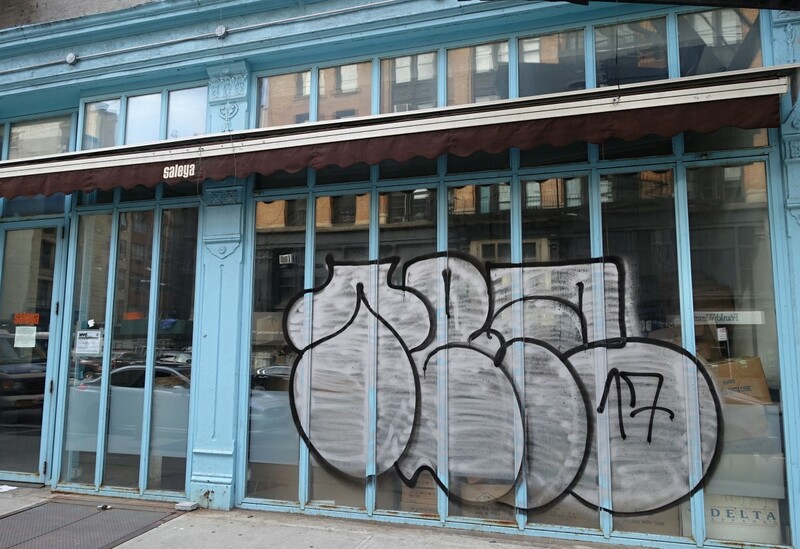 ), in order to add 10,000 square feet of retail space underneath and to accommodate a new, giant wraparound billboard. 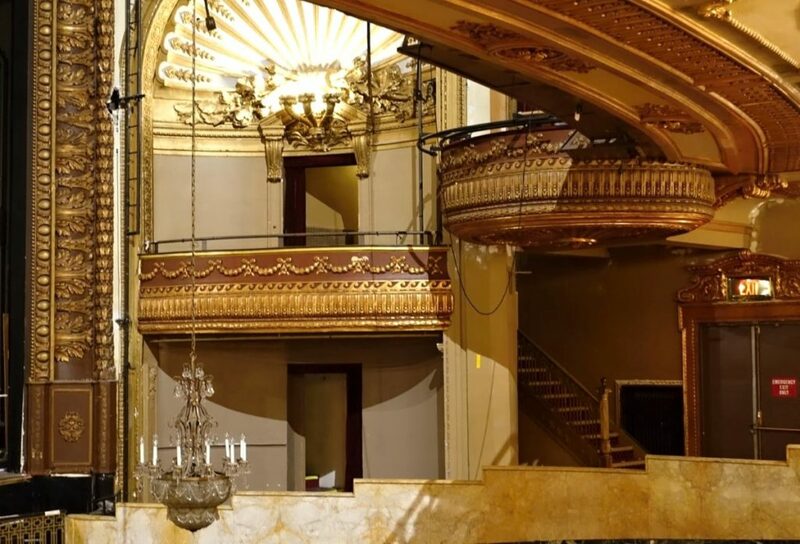 The renovation also features a new lobby, dressing rooms, and other amenities for Palace Theatre patrons. Construction is expected to be completed by 2021. 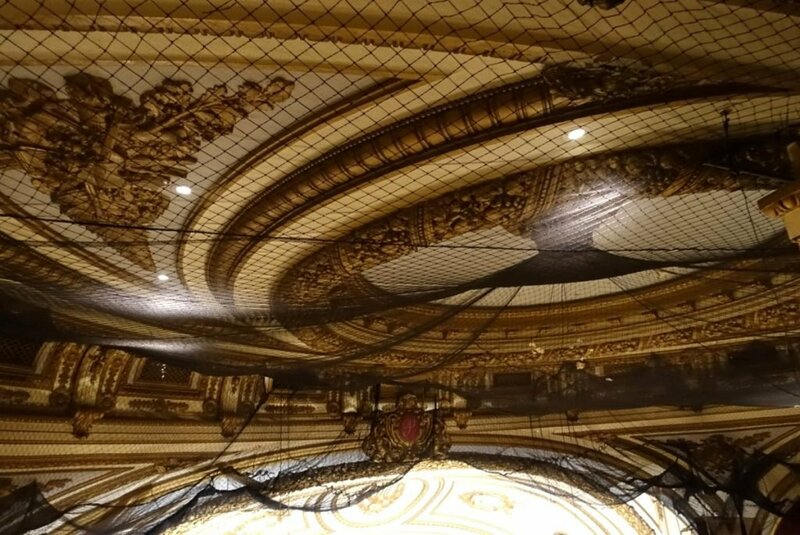 The $50 million Palace Theatre rehabilitation includes updates to its famous interior – so not only is the Palace moving up in the world, it’s also getting a facelift! 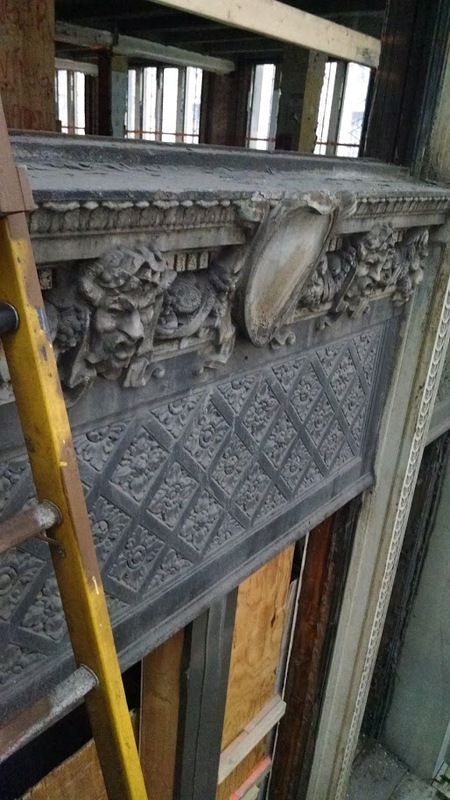 While the theatre’s historic ornamental plasterwork will stay in place, other design elements are being replaced. 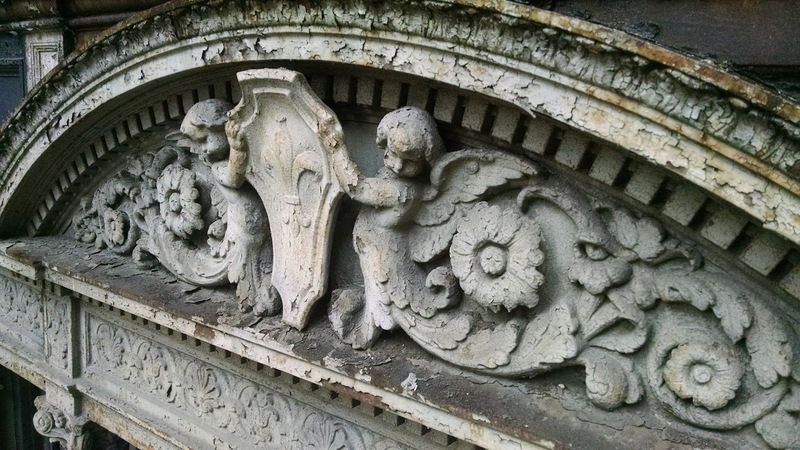 Enter Olde Good Things to salvage some of the historic treasures from this old landmark. 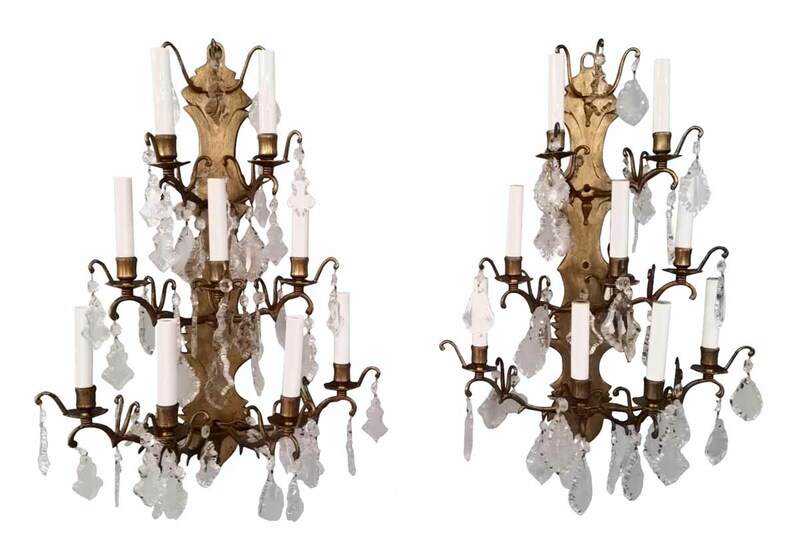 We were able to reclaim much of the vintage and antique lighting, including exquisite crystal chandeliers and Art Deco style flush and semi-flush mount fixtures. 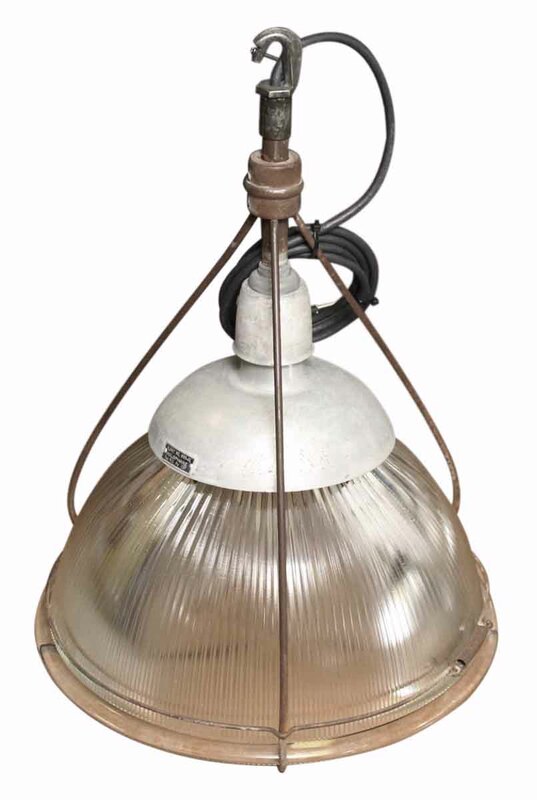 Some of these fixtures appear to date from the 1965 renovation. Longing to bask in the lights of Broadway? 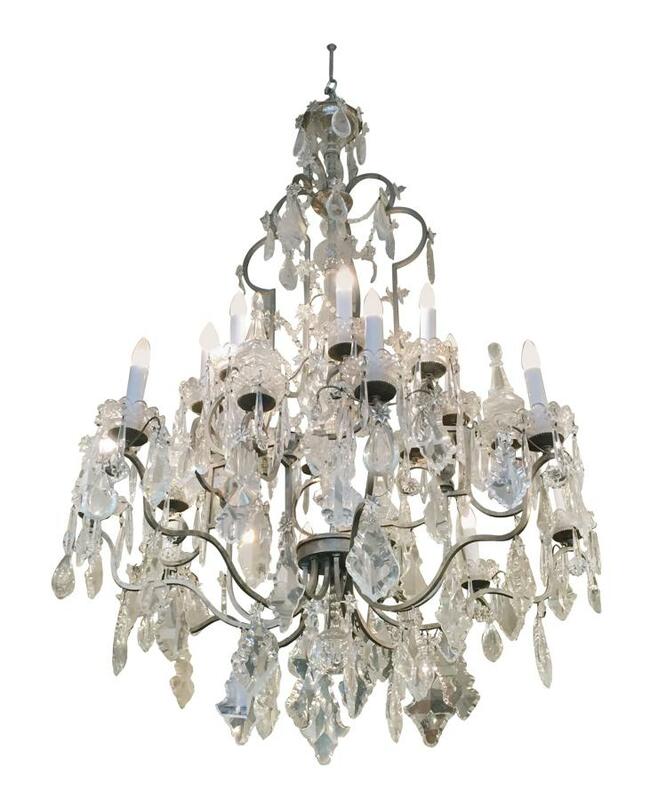 Take a look at just a few examples online and come see many more in our New York locations. 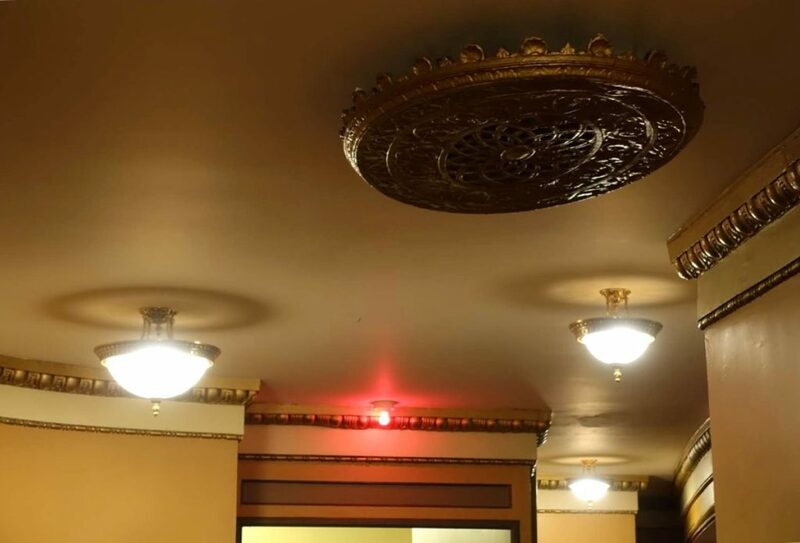 We promise the ghosts of the Palace Theatre won’t follow you home. 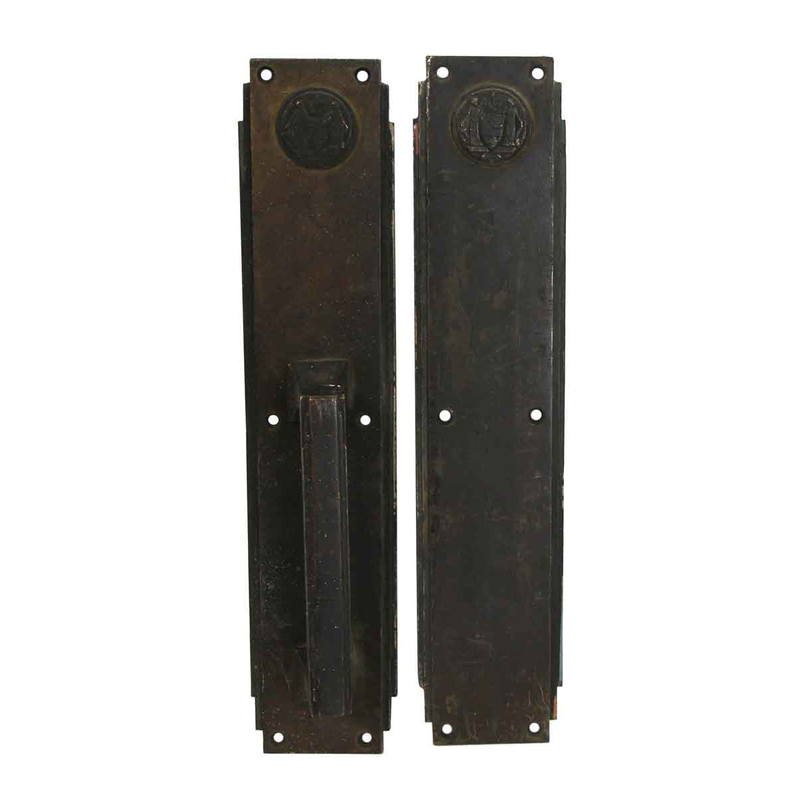 Recently at Olde Good Things, we rediscovered in the depths of hardware department a large collection of bronze Corbin made door hardware salvaged from the Philadelphia Civic Center. 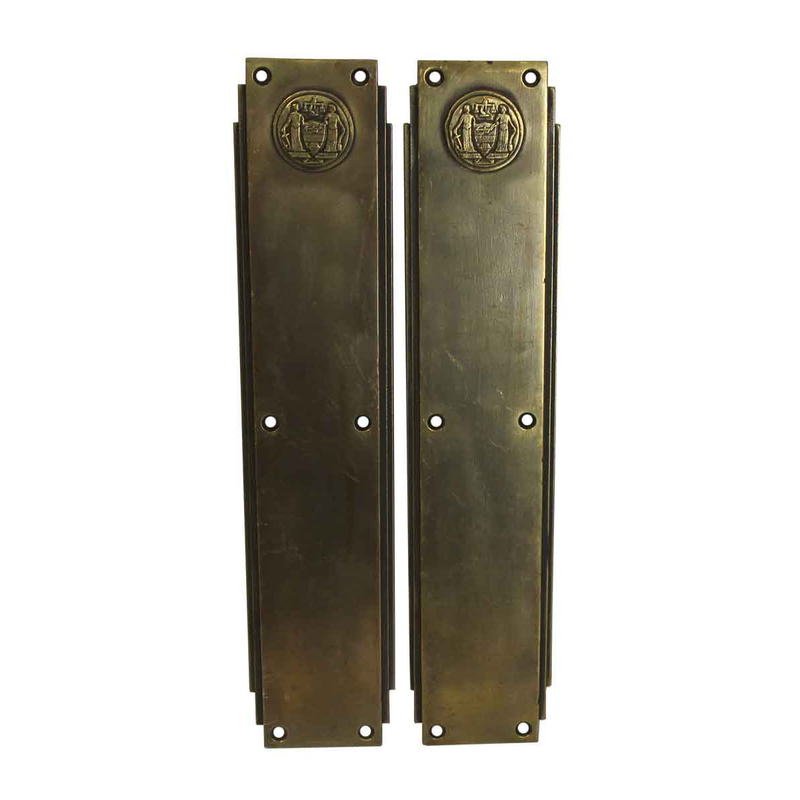 In 2005, when the Philadelphia Civic Center was demolished, Olde Good Things reclaimed many architectural friezes, industrial lights, seats, copper roof, marble wall plaques, doors & door hardware. 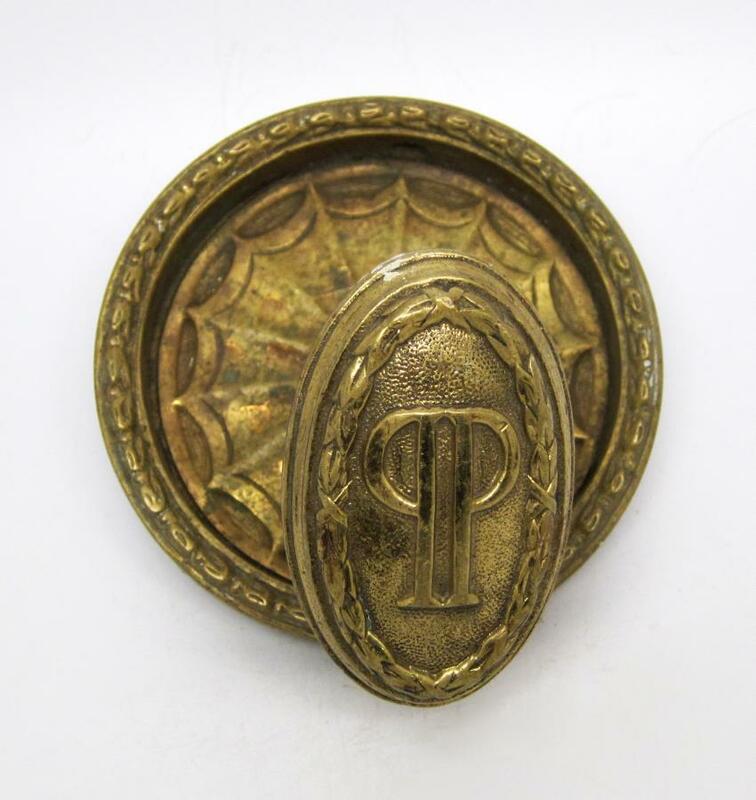 The hardware is of an Art Deco style with a medallion shaped Philadelphia Civic Center emblem on the top. 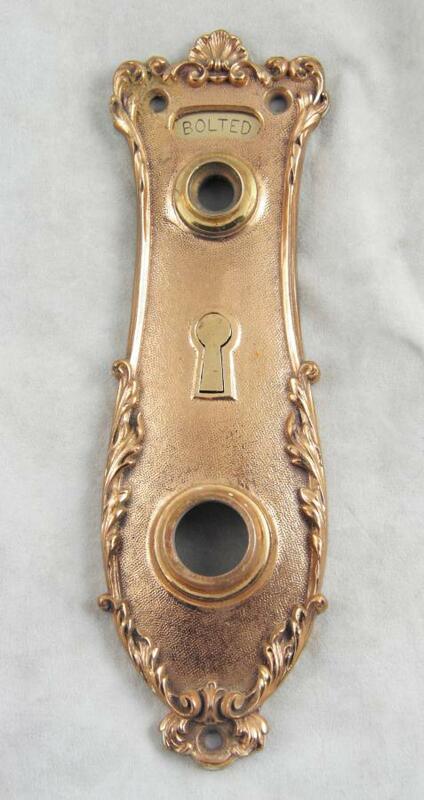 Each bronze piece is Corbin made in the early 1900s. 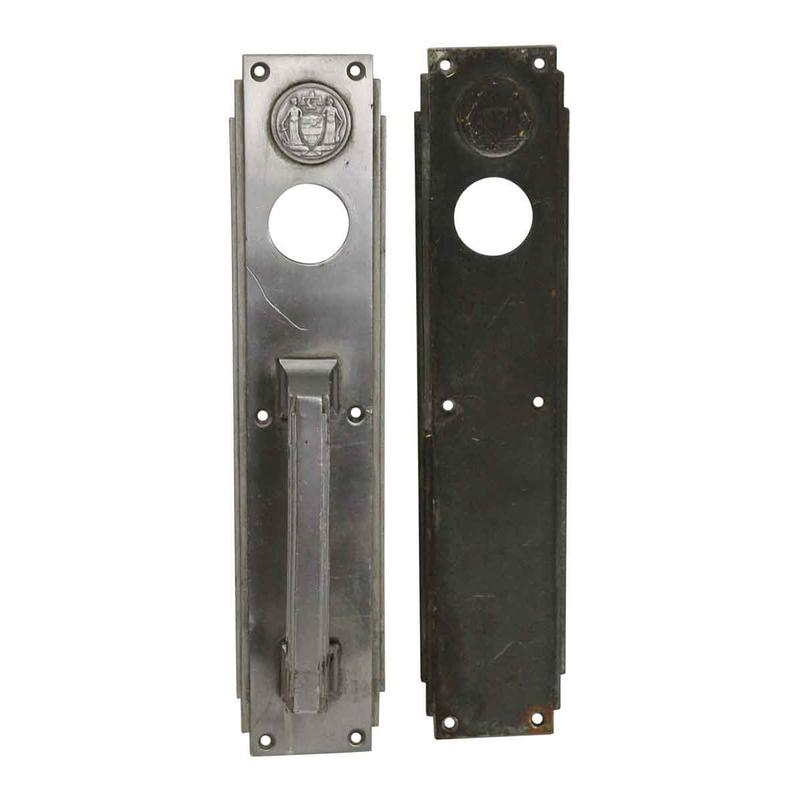 The commercial types range from mono-lock, push plate, door pull, & door knob with plate. 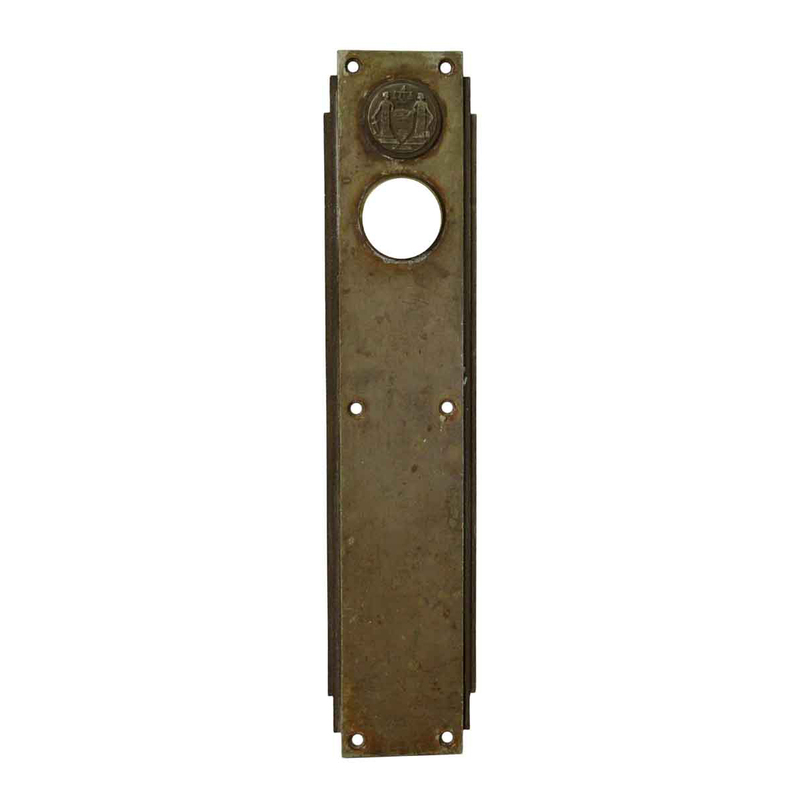 Typically, one pull and one push plate completes a swinging door on each side. Below views each type now available, with a limited quantity. 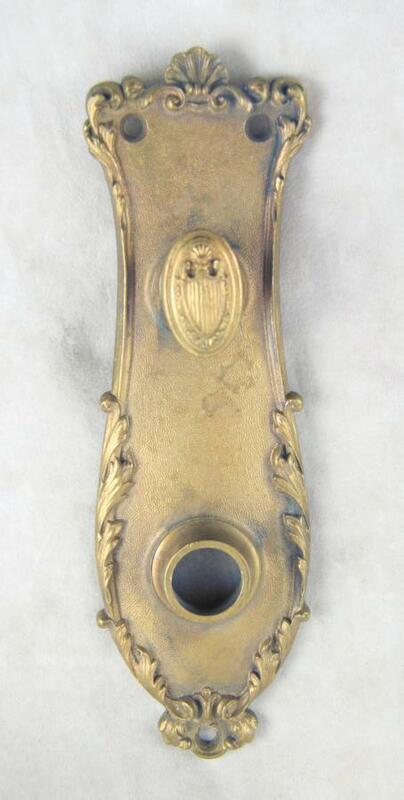 See below on how the hardware was used in Philadelphia Civic Center. 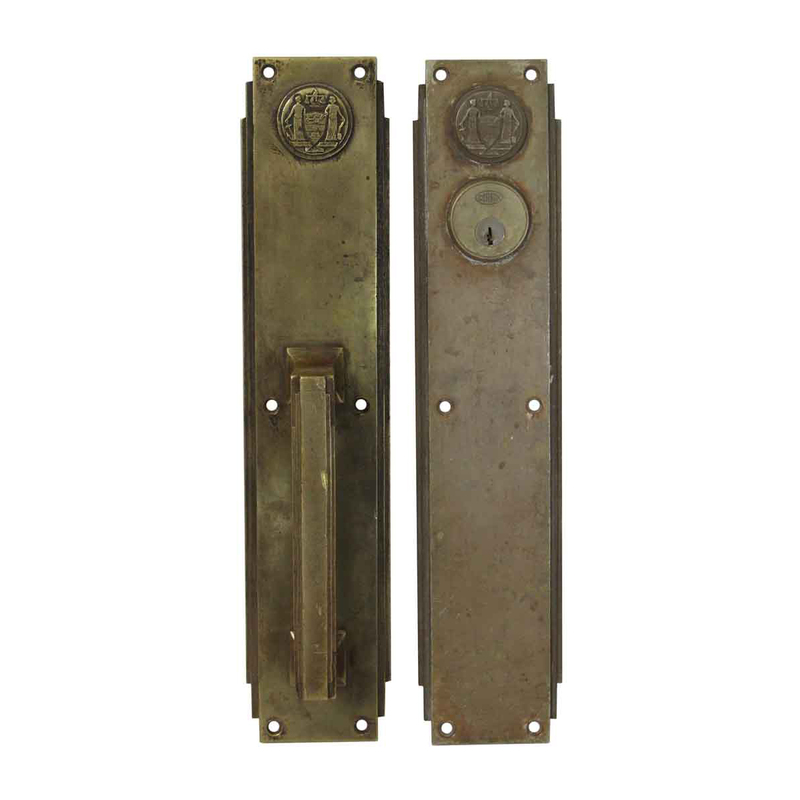 The mono-locks were used in phone booths and the door push plates & pulls were used in the common hallway areas. 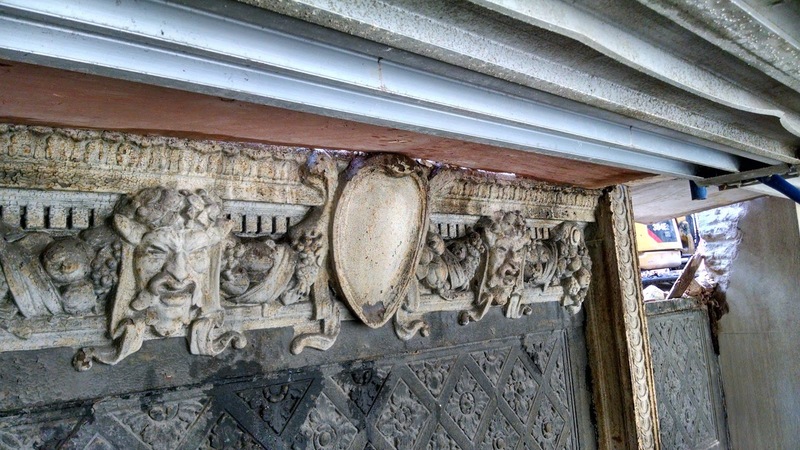 To learn more about this amazing 2005 salvage job and the history of Philadelphia Civic Center, read our initial blog post Architectural Find of the Week: Historic Limestone Friezes from Philadelphia Civic Center. 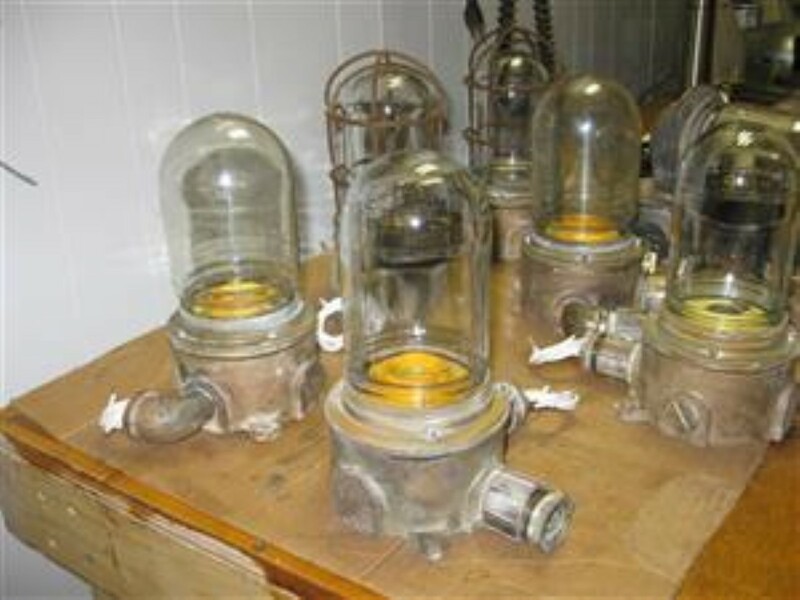 To view ALL remaining inventory left from this salvage job, click here. 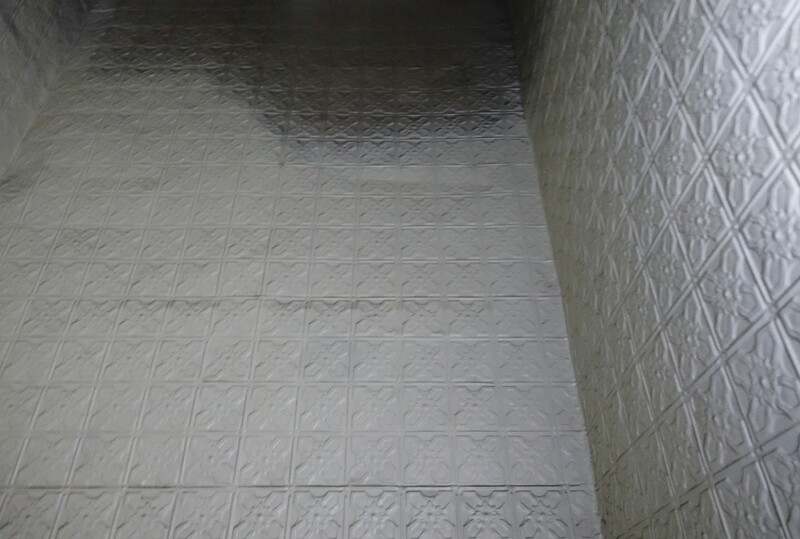 Few would deny that unique style is a bonus for prospective buyers of renovated homes. While quality and function are important, it can be the unexpected touches that trigger a positive response and prompt an offer. 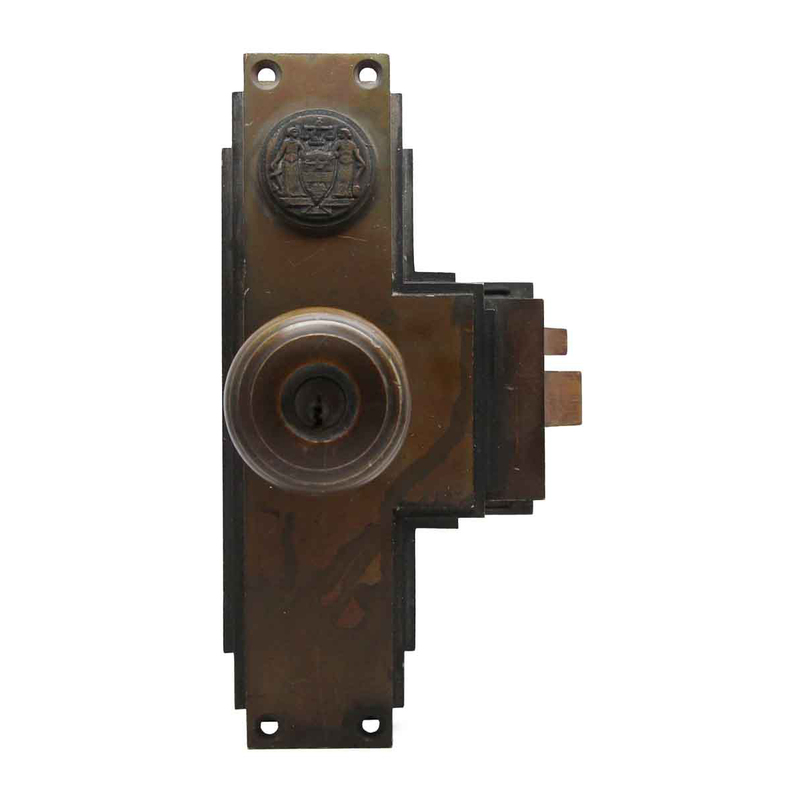 Investors who purchase property with the goal of renovating and reselling for profit sometimes overlook the potential to add character with reclaimed materials and architectural salvage, instead choosing more expensive options that can sometimes be hard on the budget. 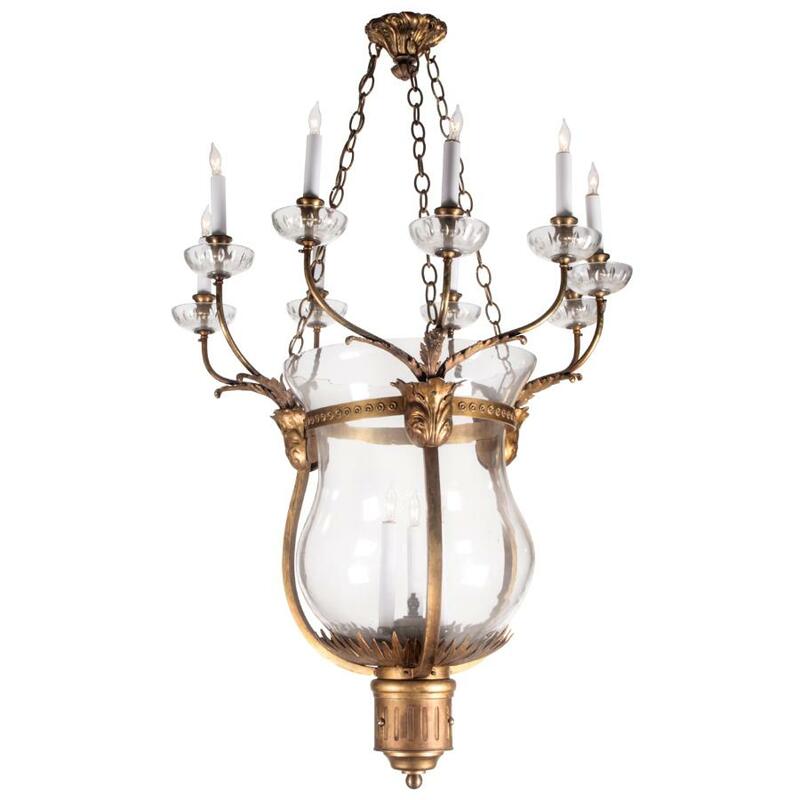 While most buyers appreciate the style and reliability of modern heating and cooling systems, new appliances and energy-efficient lighting, there is a certain charm associated with vintage bath fixtures, period chandeliers and wall sconces, and reclaimed beams, flooring, doors, millwork and hardware. 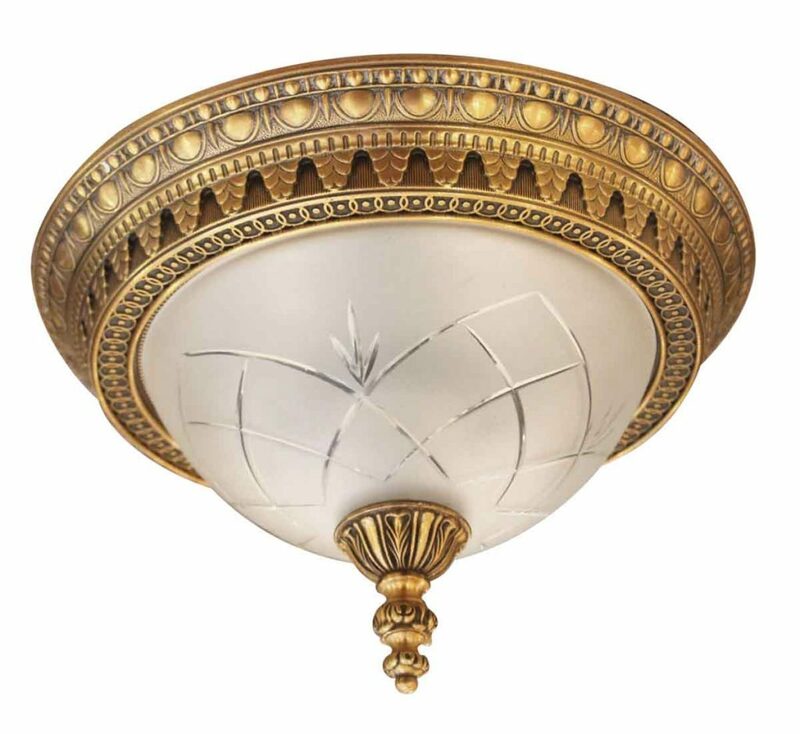 When the quality of workmanship is evident, there is no reason why design items from the past cannot be fully integrated into modern interiors. 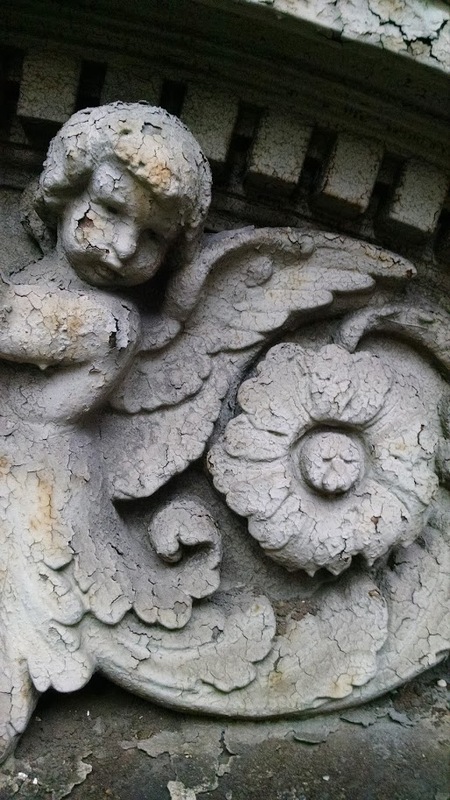 Even exteriors can be enhanced with older architectural features. 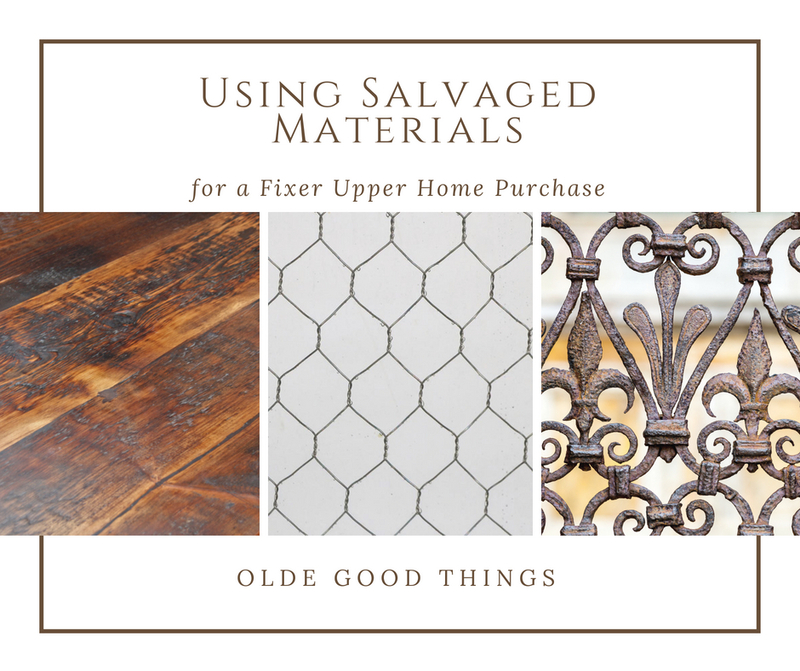 The truth is that salvaged materials and vintage home decor can constitute a bargain when used to update a “tired” property. 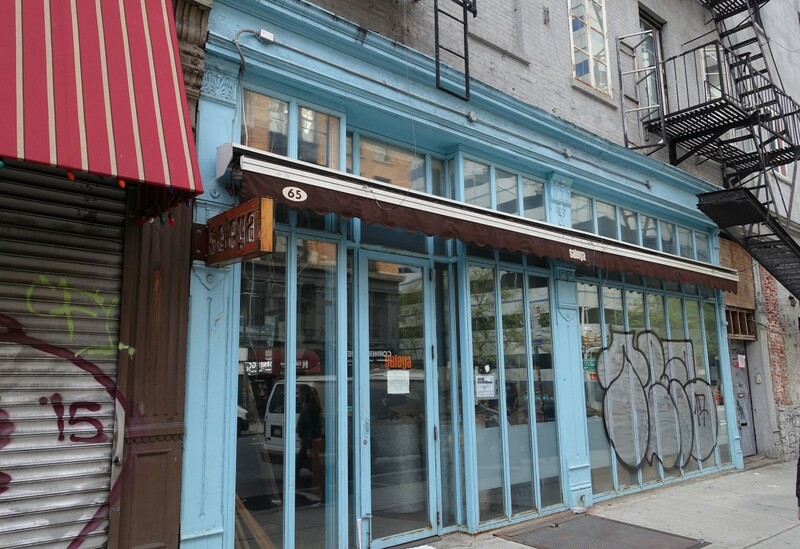 They also add much-needed character to transform a bargain fix-and-flip project from mundane to extraordinary. 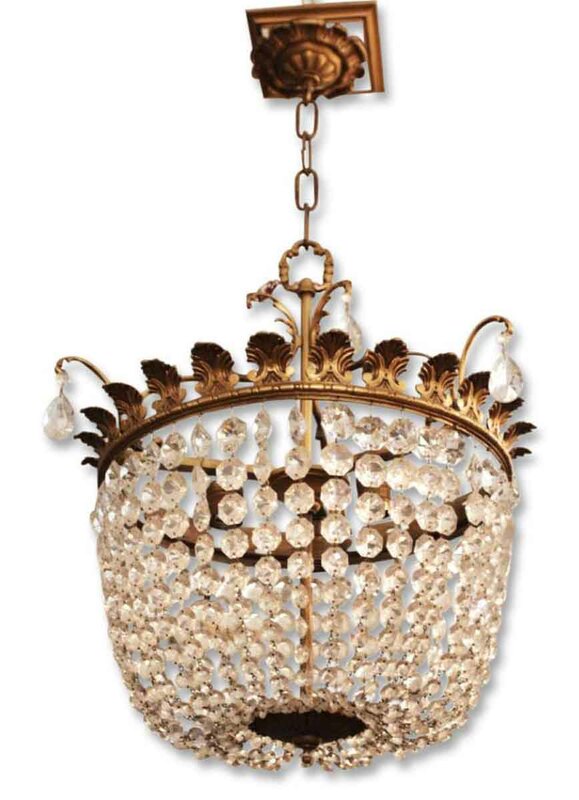 Rather than squandering potential profit on high-ticket items, why not exercise a bit of ingenuity to incorporate a stately vintage aesthetic into a modern property, whether that’s through DIY projects or hiring a professional craftsman? 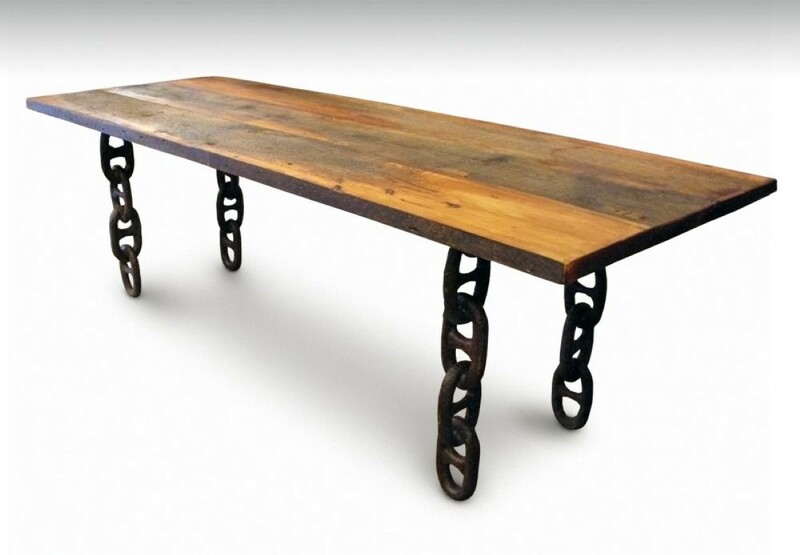 Whether your finished design theme is rustic farmhouse, industrial, Euro-tech, distinctively contemporary or vintage elegance, the unique appeal of repurposed elements can add spirit and new life to a renovation. The matching look — in home design as in furniture and clothing — is now passe, and color today depends less on popular trends than on personalization and individuality. Designers and architects, as well as savvy investors and builders, realize the benefits of cost-effective options. 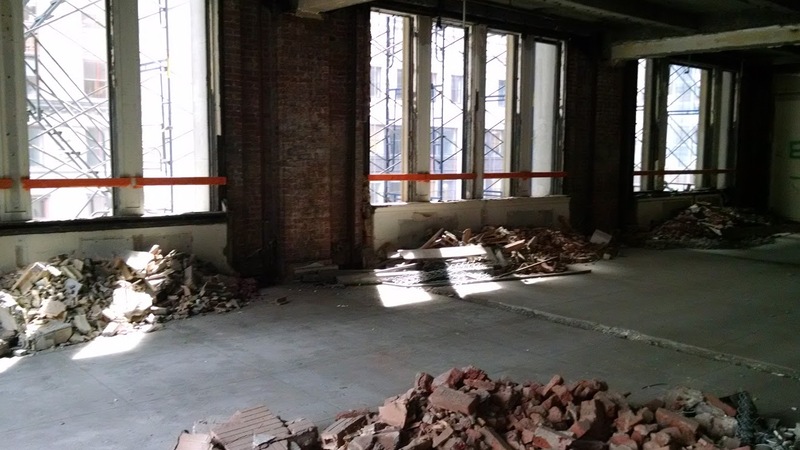 Budgeting for a renovation requires keeping a tight lid on costs. 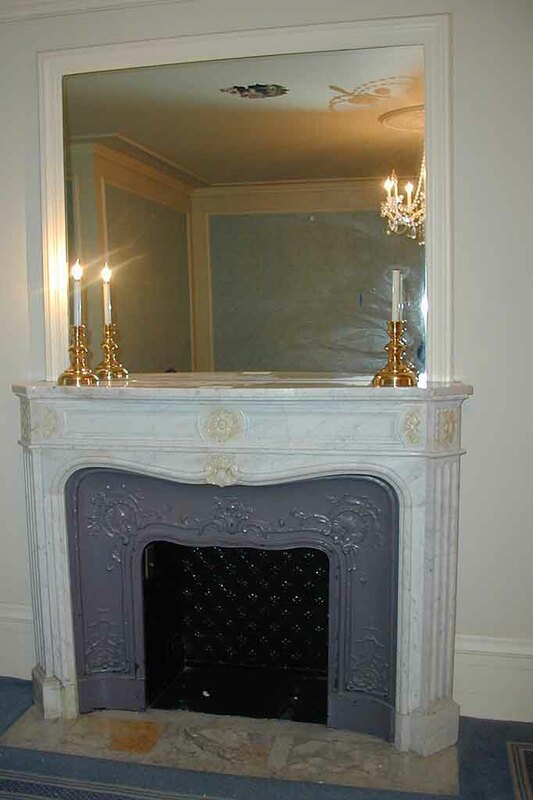 Prospective buyers will respond to the unique and unusual. 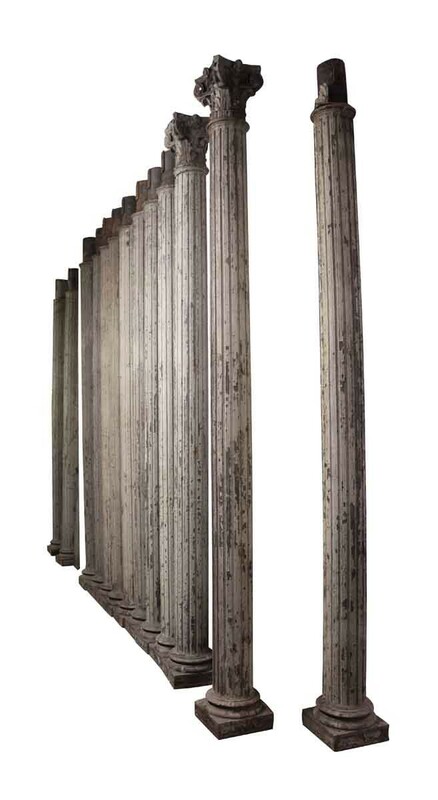 Salvaged architectural materials have the ability to raise the bar of perception: Buyers respond to one-of-a-kind features. Homes with custom features and distinctive personality sell faster and for higher prices than cookie-cutter models. Use a serviceable chest or bookcase as a window seat or bathroom bench; extra storage is always welcome. When renovating existing property, don’t let your vision be limited to “modernizing.” Keep all options on the table. Sometimes older is better, not only because the price is good, but because the value far outweighs the cost. 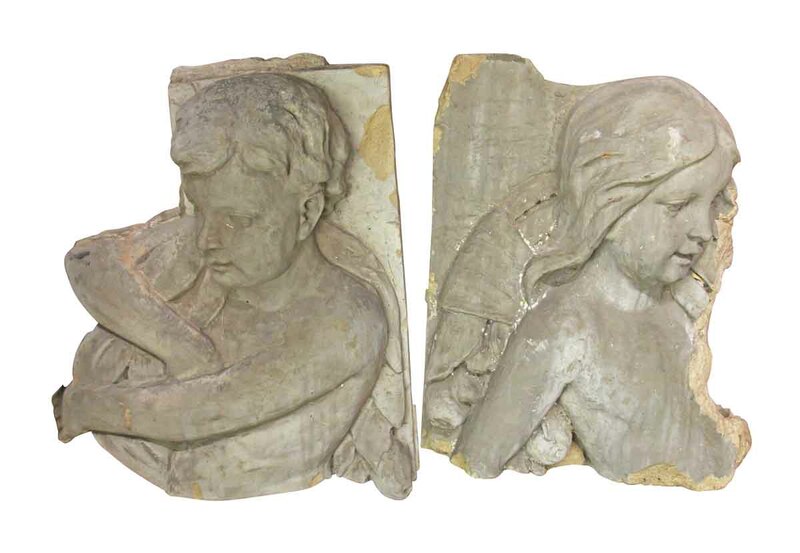 When the architecturologists at Olde Good Things worked to salvage the former Staten Island Ferry the Walter Keane, they came ashore with a variety of marine architectural salvage treasures. 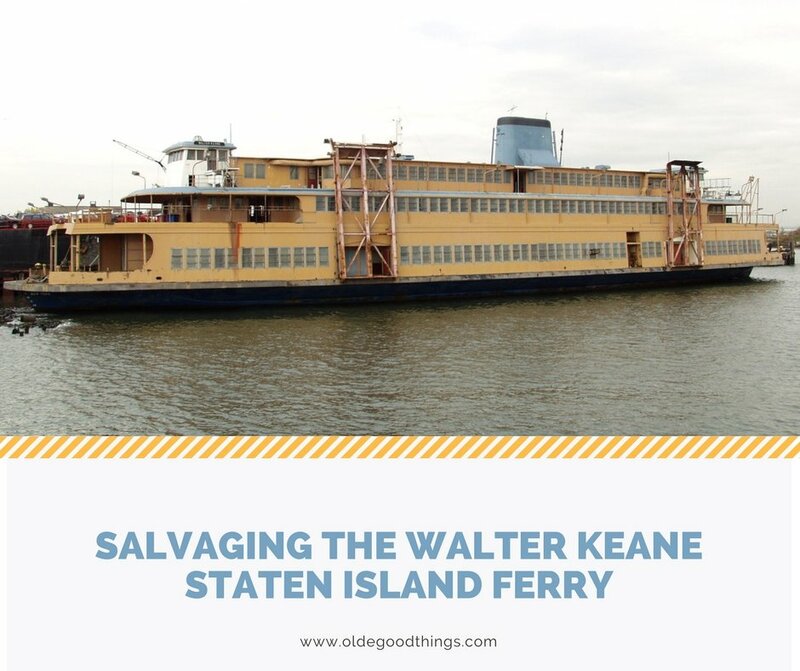 Exterior photos of the Walter Keane, formerly the Cornelius G. Kolff in its glory days as a steam-powered Staten Island ferry. The beginnings of a Staten Island ferry system dates back to 1810, when Cornelius Vanderbilt began transporting passengers between Staten Island and the Battery in lower Manhattan on twin-mast sailboats. 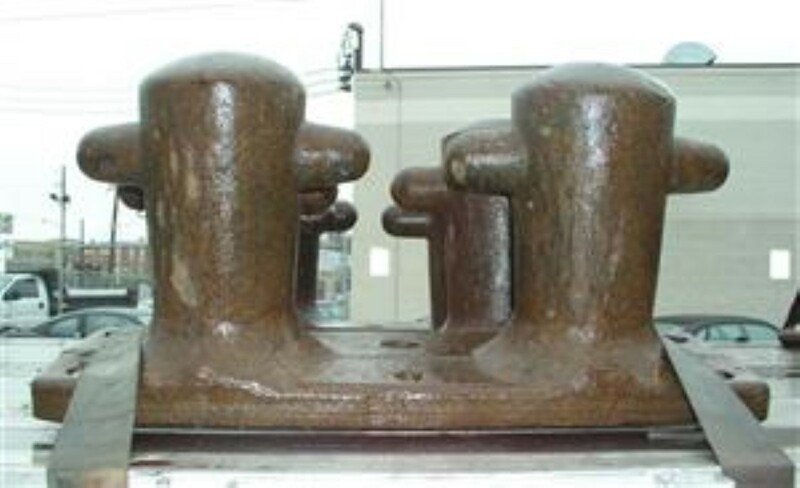 The ferry system grew over the years, changing hands from different investors and railway companies, gaining new boats and technologies as times changed, and finally coming under the control of New York City itself in the early 20th century to become the ferry system we know today. The modern ferry fleet has grown to include several classes of ships of varying sizes, but the ferry still travels between Staten Island and lower Manhattan. In 2005, a newly modernized terminal was dedicated at the Manhattan end of the ferry, with connections inside for the New York City Subway System as well as buses and taxi stands. Service is provided 24 hours a day, 365 days a year, running roughly every 30 minutes and having transported 23.9 million passengers in 2016 alone. The history of the ship the Walter Keane goes even deeper than its use as a ferry. After 36 years of loyal service shipping passengers back and forth between Staten Island and Manhattan, the last two steam ferries, the Cornelius G. Kolff and its twin the Private Joseph F. Merrell , were docked in the East River as part of Rikers Island in 1987 to deal with prison overcrowding. 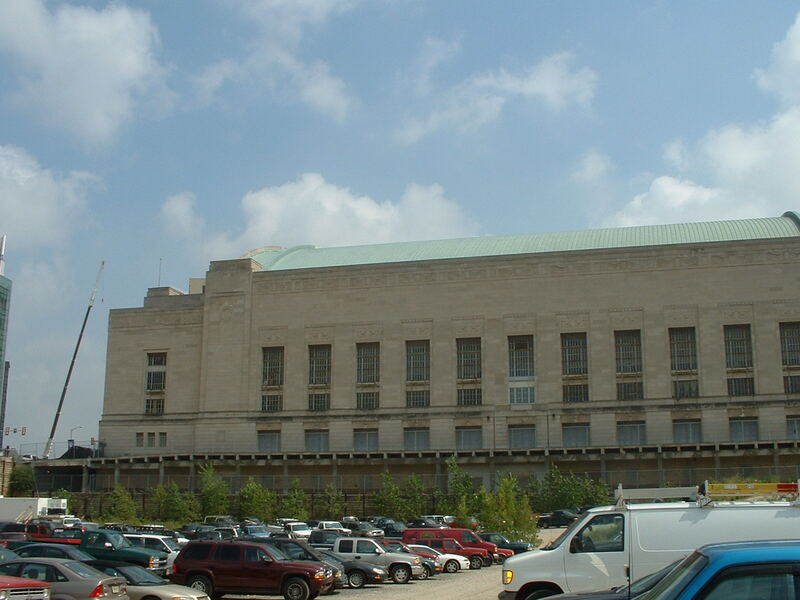 The Kolff was later renamed after Walter B. Keane, a veteran correctional officer. The two ferries, along with several decommissioned British troop carriers, were repurposed as floating housing for the prison’s inmates. They were later used to as offices, inmate programs, and services. 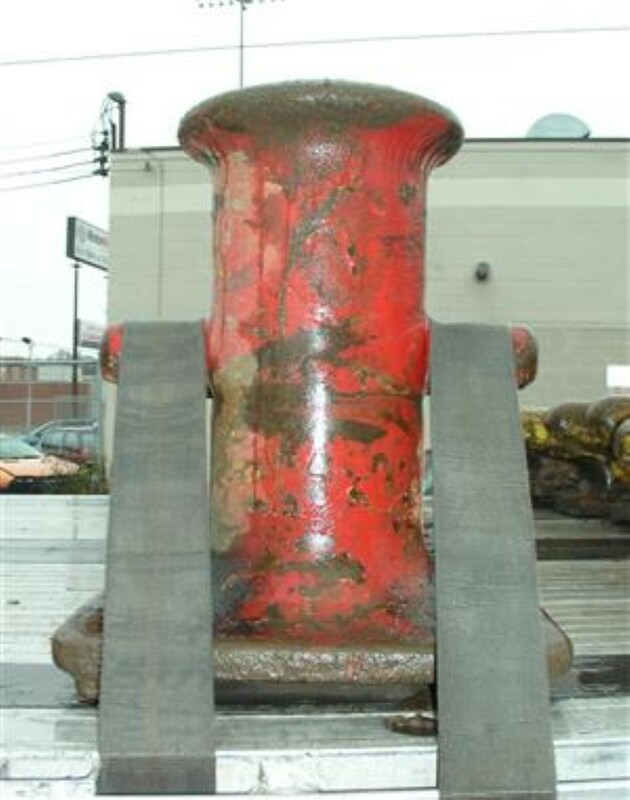 Our architectural salvage staff were able to recover a variety of pieces including salvaged anchors and weights, industrial chain, nautical bells, and marine equipment. The interior revealed beautiful architectural benches, tables, chairs, showers, industrial sinks, and nautical light fixtures. 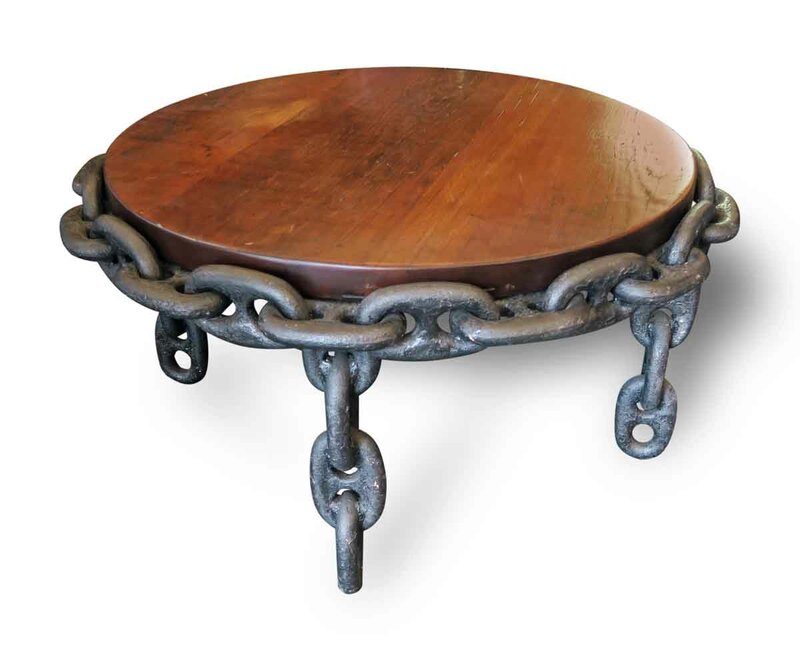 The nautical anchor chains that we have salvaged from the Walter Keane and other maritime locations become custom tables in our Altered Antiques line. 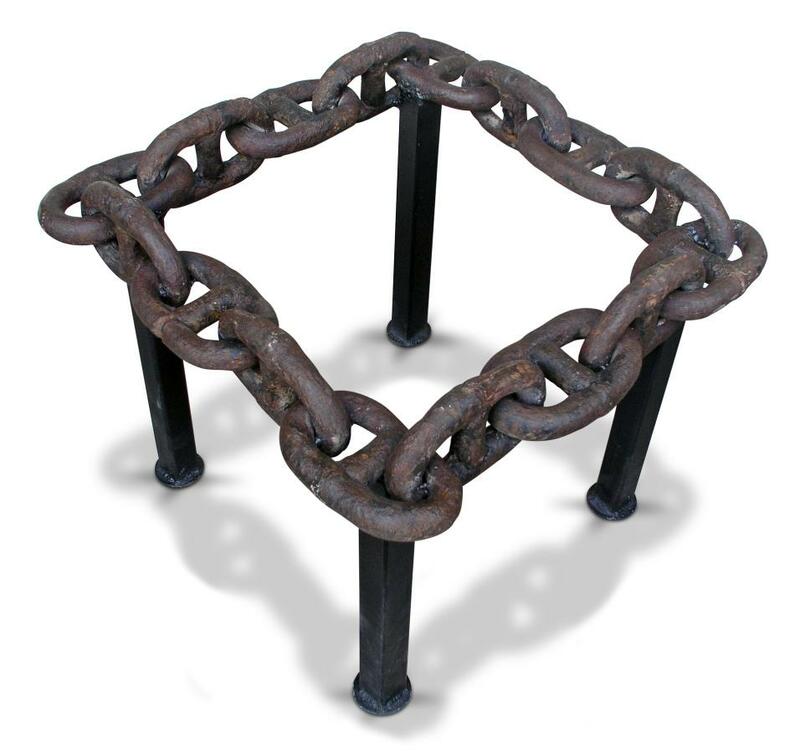 Our master craftsmen weld these chains together to make sturdy industrial table legs of varying sizes and shapes, from coffee tables to end tables in both round and rectangular designs. 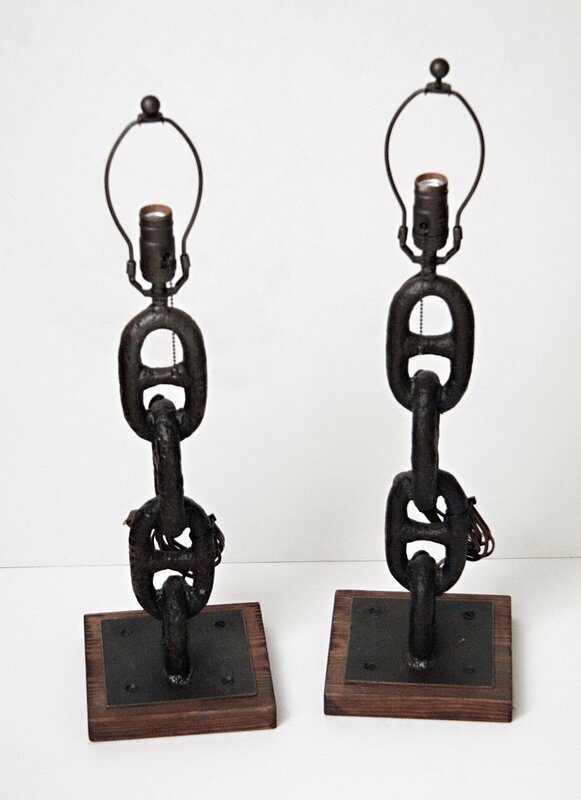 These chains can also be made into table lamps, providing an industrial or nautical motif to any project. 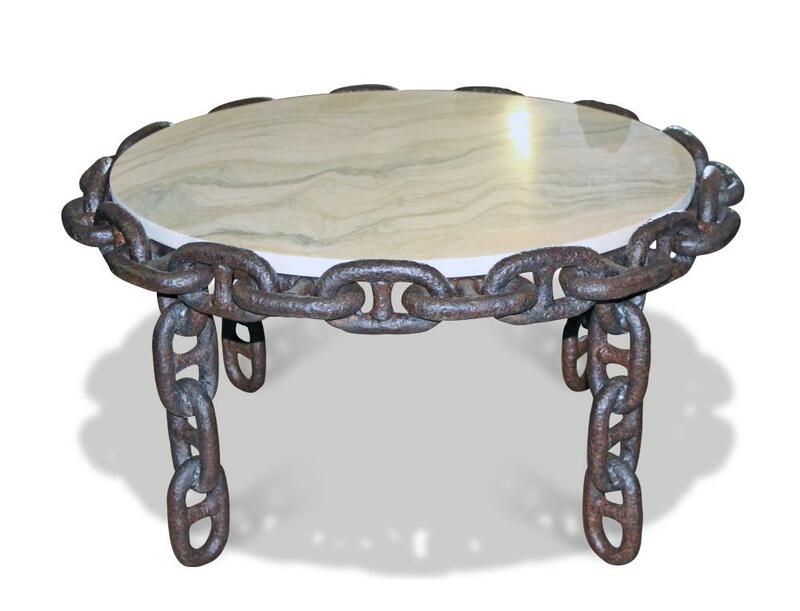 For more information about our nautical anchor chain tables, or to see what other treasures await in our Altered Antiques line, visit any of our Olde Good Things brick-and-mortar stores or stop over to our webstore to shop Nautical Antiques or Nautical Lighting. While New York City is a place of constant growth and change, it is also a city filled with numerous architectural wonders from the past. 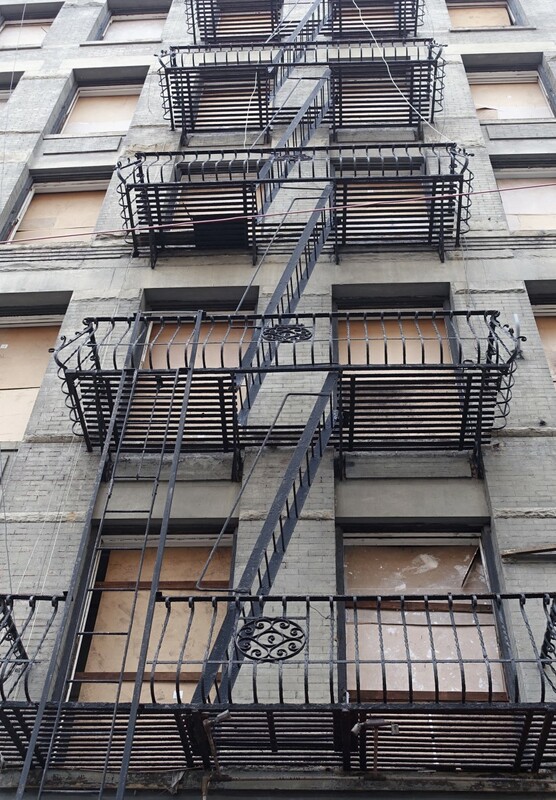 Sadly, as many New Yorkers are saying goodbye to some of the city’s fantastic buildings and older architecture, not much is done to save the more interesting aspects from a landfill. 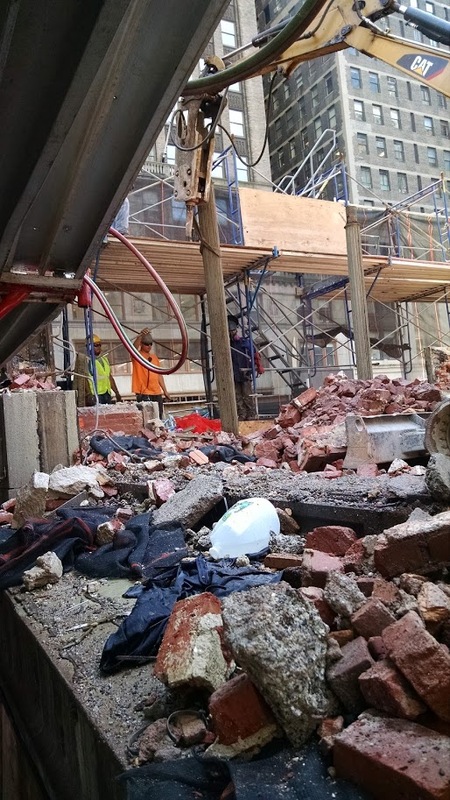 That’s why whenever older buildings are being renovated or demolished, the team of architecturologists from Olde Good Things work tirelessly to uncover and preserve these architectural artifacts. 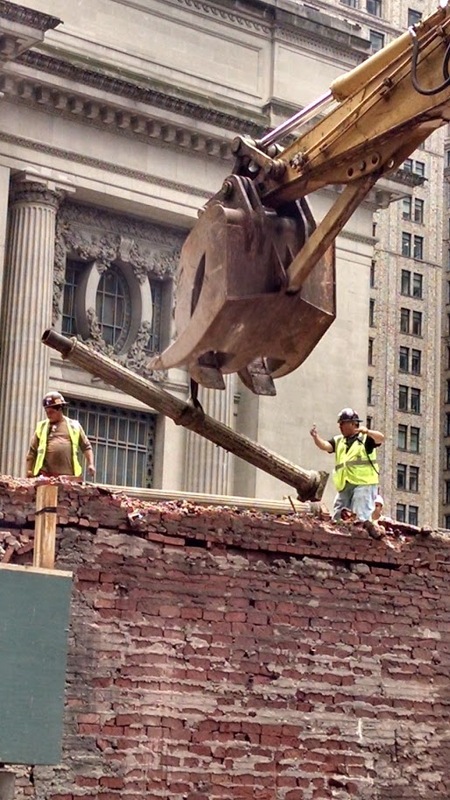 Olde Good Things recently spent time salvaging pieces from several late 19th century buildings in the West Broadway city block in the Tribeca neighborhood, just a short walk from Ground Zero. 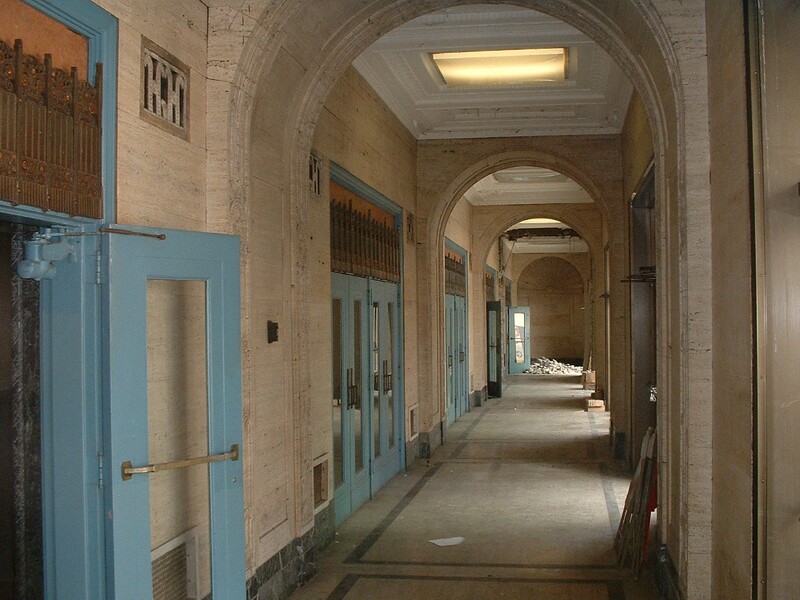 The area, scheduled to be developed for condominiums and retail space, held multiple unique architectural details. 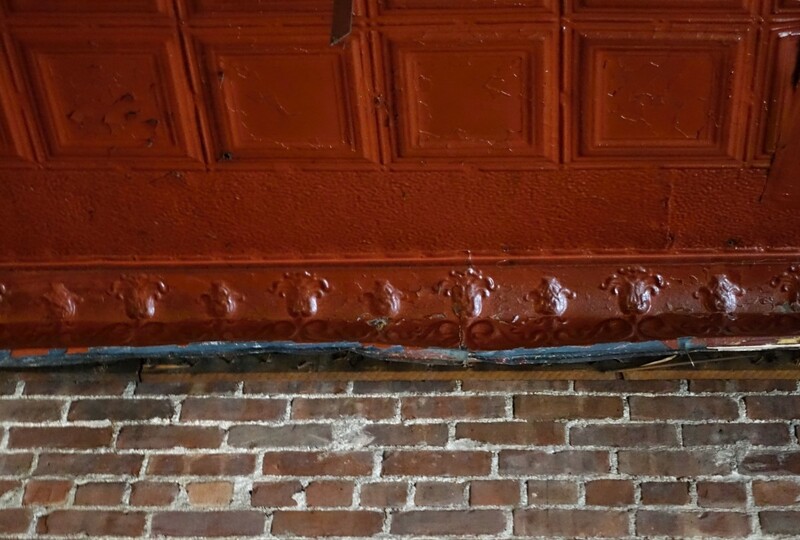 One of the many reclaimed pieces brought back from this Tribeca neighborhood were an abundance of original ornate ceiling tin. 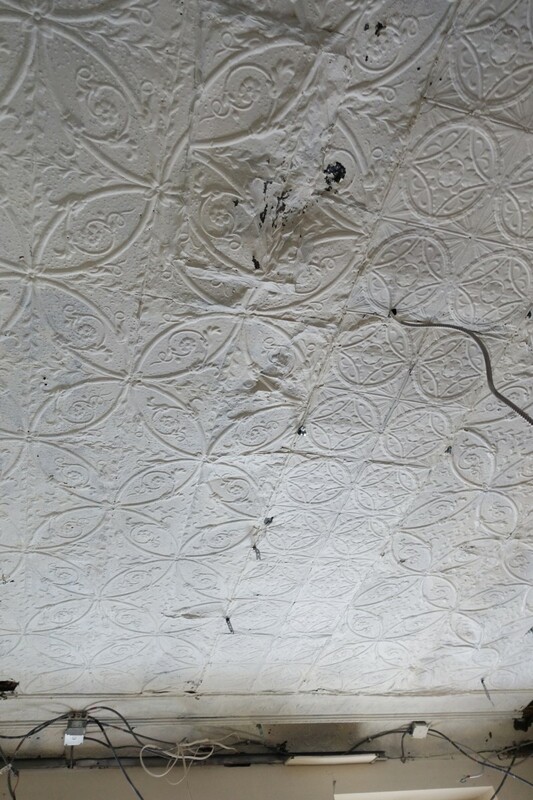 Tin ceilings were popular in businesses and homes until around the beginning of the 20th century and feature intricate stamped designs. 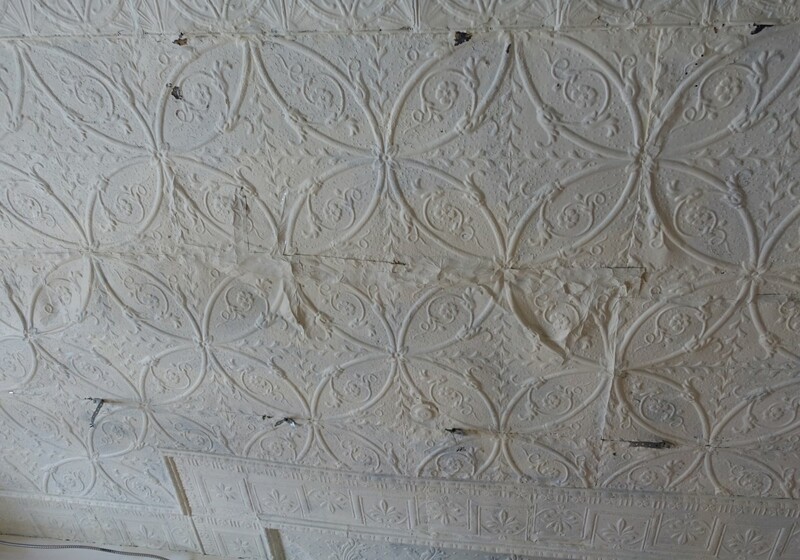 These tin ceiling tiles will either be sold individually, or the OGT craftsmen will turn them into beautiful frames and ornate mirrors in a multitude of colors – perfect for any commercial or residential restoration projects. 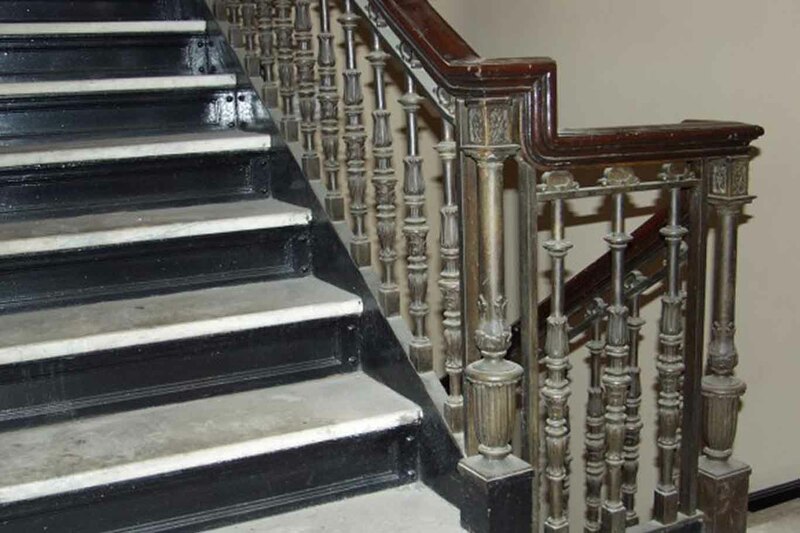 Another interesting architectural feature recovered from this property were several original wrought iron balconies and fire escapes. 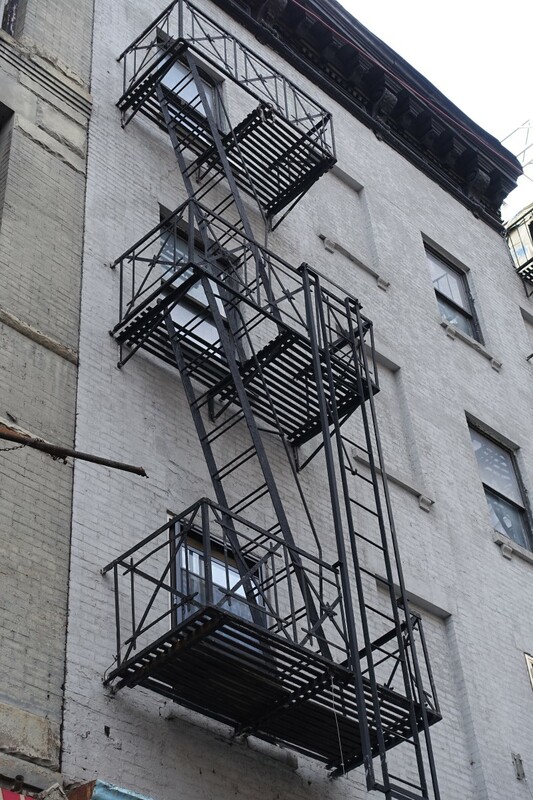 Developed in the latter part of the 19th century for New York’s tenement apartments, wrought iron balconies and fire escapes soon found uses in other commercial, residential and industrial buildings. 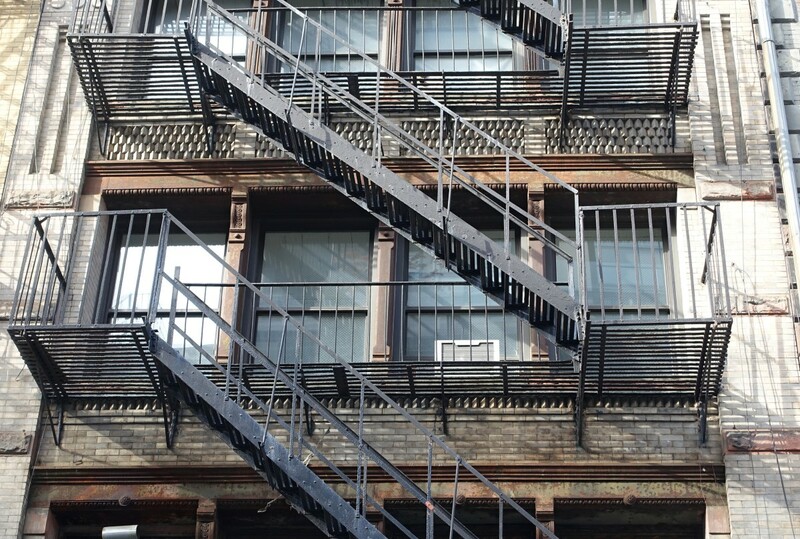 These reclaimed wrought iron balconies and fire escapes would add an unexpected element of classic city chic to any renovation. 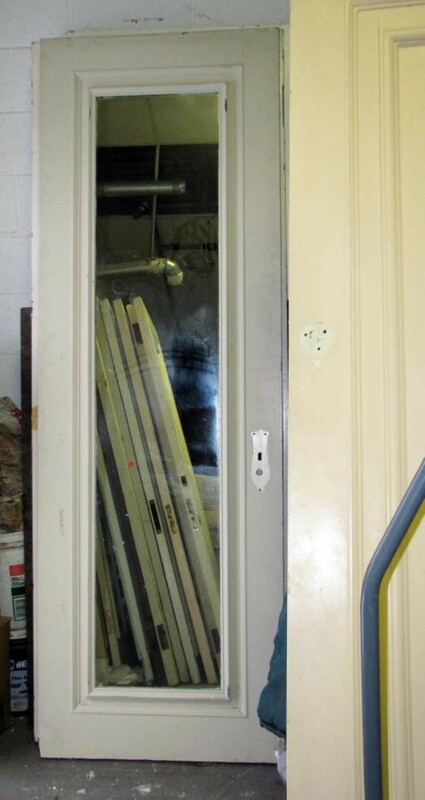 Also recovered from our recent trip are several interior and exterior wooden doors. 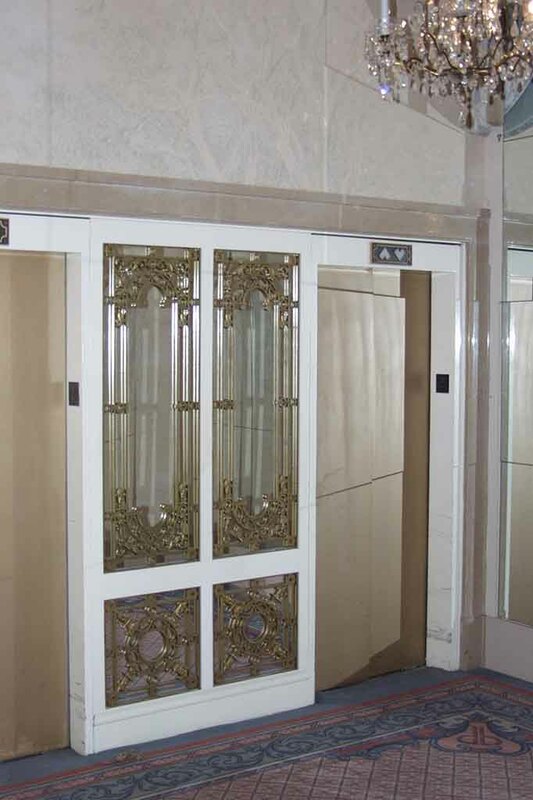 These doors, some of which include the original glass windows or hand-lettered company names, can be incorporated in modern homes to create a unique design style. 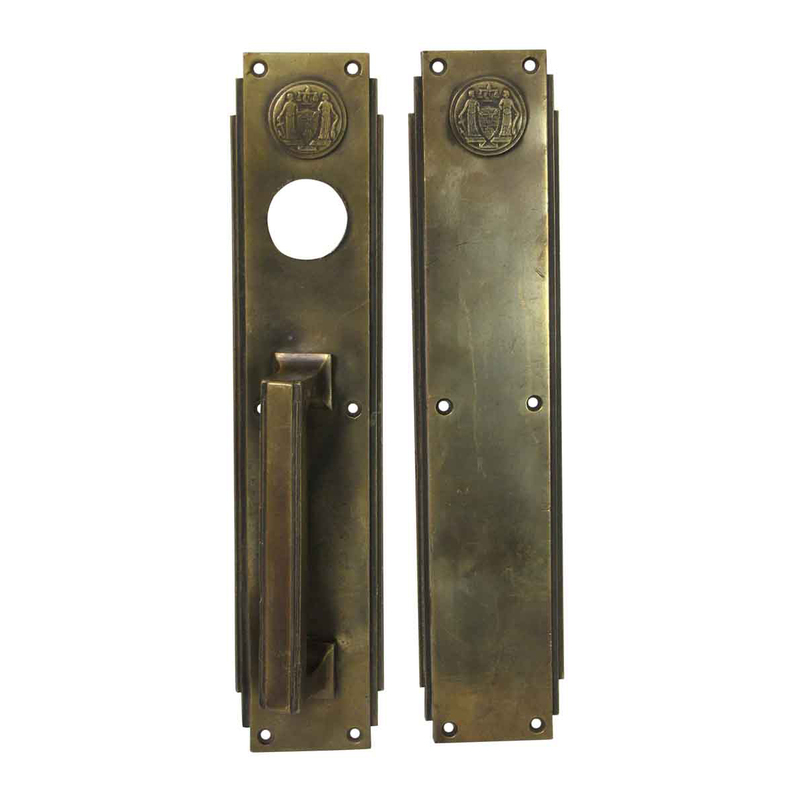 These doors are also especially popular for use as exterior doors in older buildings. 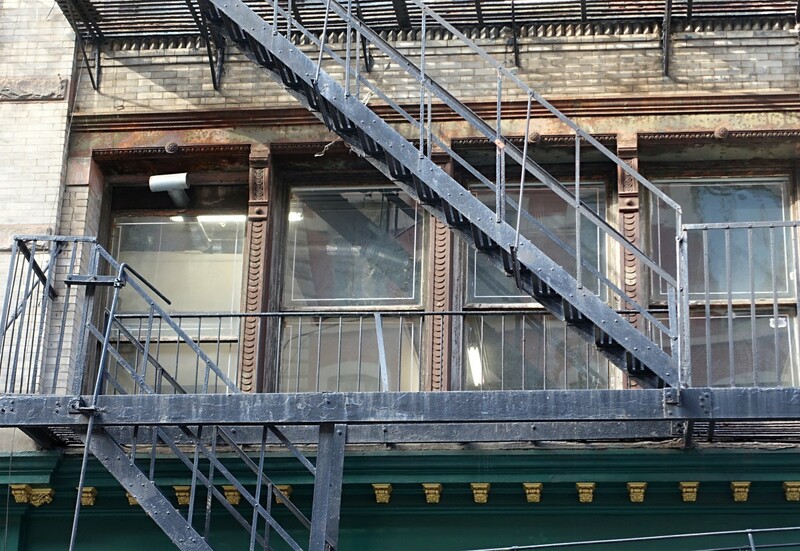 While preservationists and those who love the “old” New York lament the demolition of these older properties, Olde Good Things is thrilled to be able to help save what we can so others may be able to repurpose or reuse these pieces of architectural history. 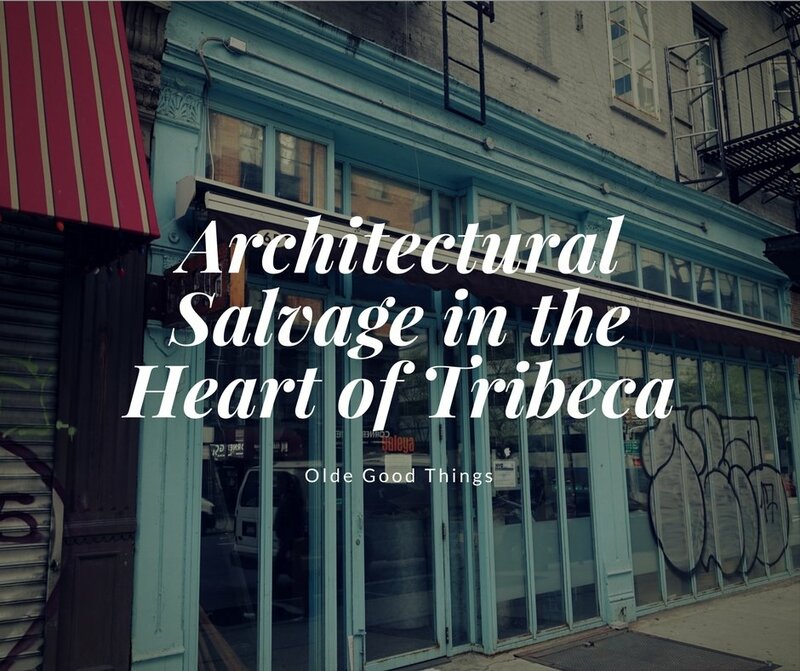 Whether you’re interested in one of these great architectural artifacts from this Tribeca neighborhood, or you’re looking for other unique antique features, you’re always welcome at any of our Olde Good Things stores or at our webstore. We’re sure the perfect piece of history awaits you. As New York City ushers in a new era of progress, distinguished by the revitalization of some of the city’s most famous landmark neighborhoods, Olde Good Things is on standby to make sure that the most stunning architectural elements, the irreplaceable historical details of bygone days, are preserved and made available to our customers. 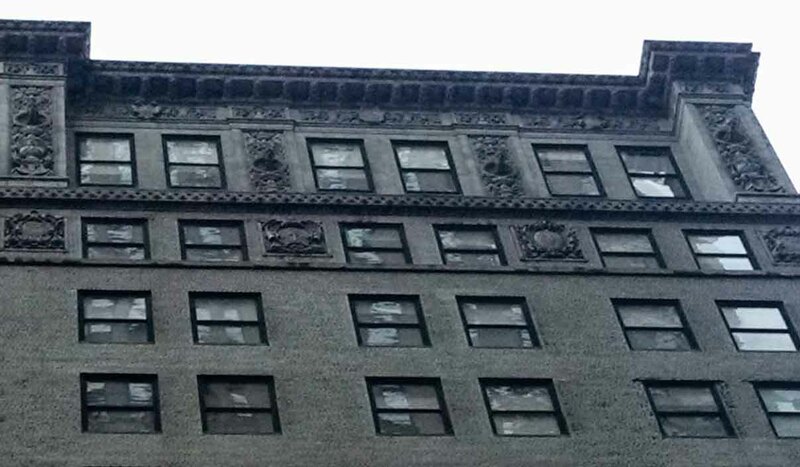 Our recent reclamation from the 42nd and Vanderbilt Warren and Wetmore Building is just one example of why the architecturologists at OGT are part of a rare breed. 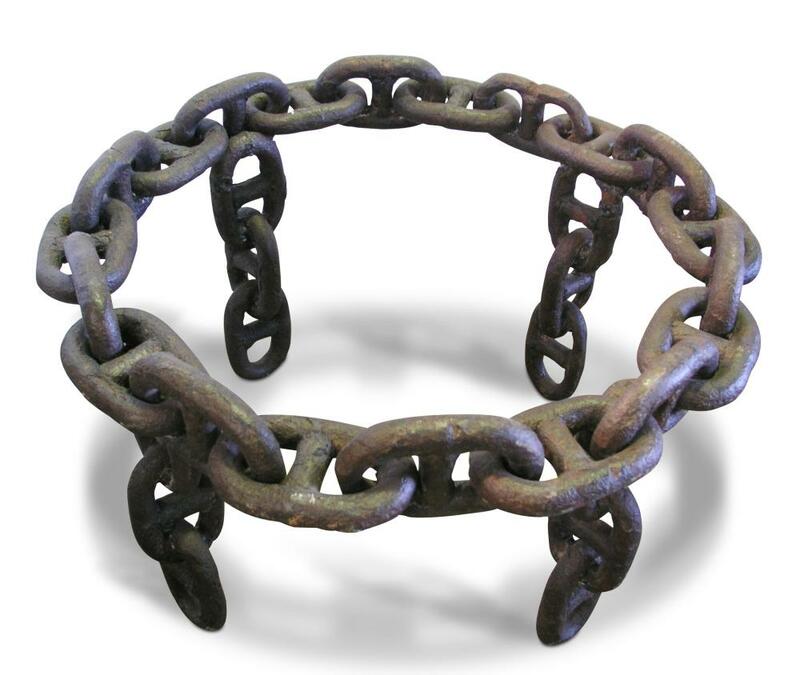 OGT is a leader in the architectural salvage industry. 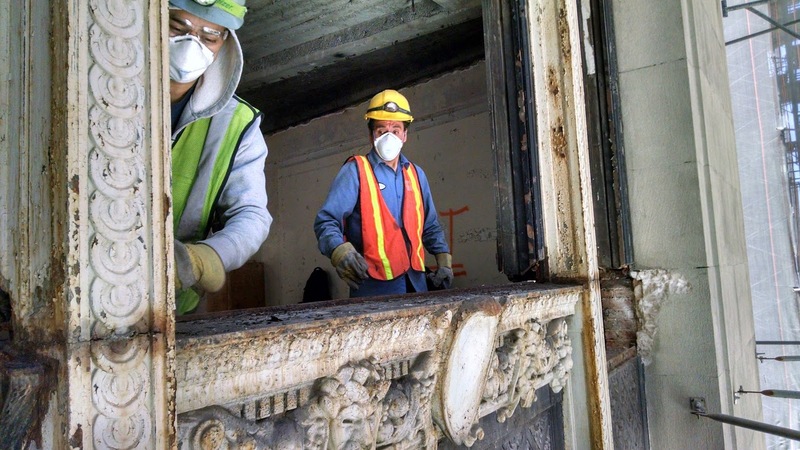 We have been rescuing and reclaiming NYC skyscrapers since the 90s, each time putting in the effort to preserve and cherish the custom details that distinguish the historical treasures in The Big Apple. 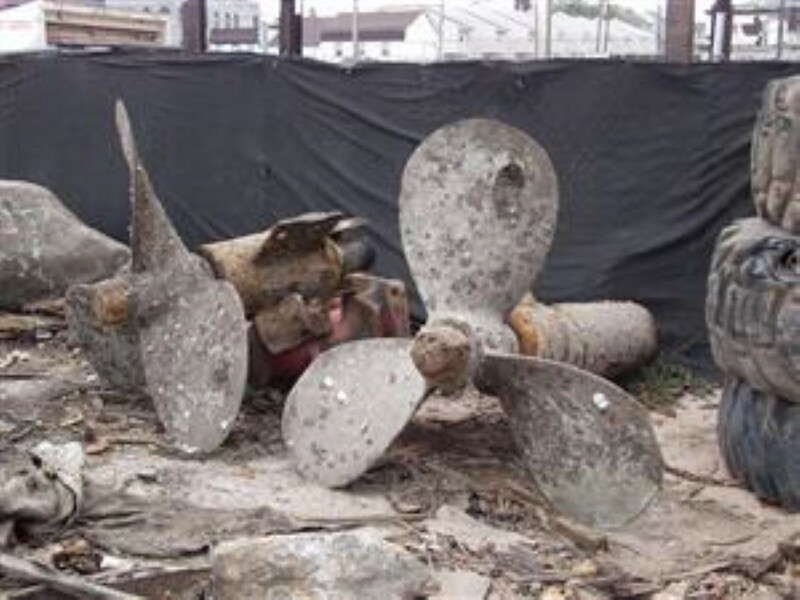 We have watched other salvage experts fall by the wayside due to the immense effort it requires to safely rescue these pieces of history. 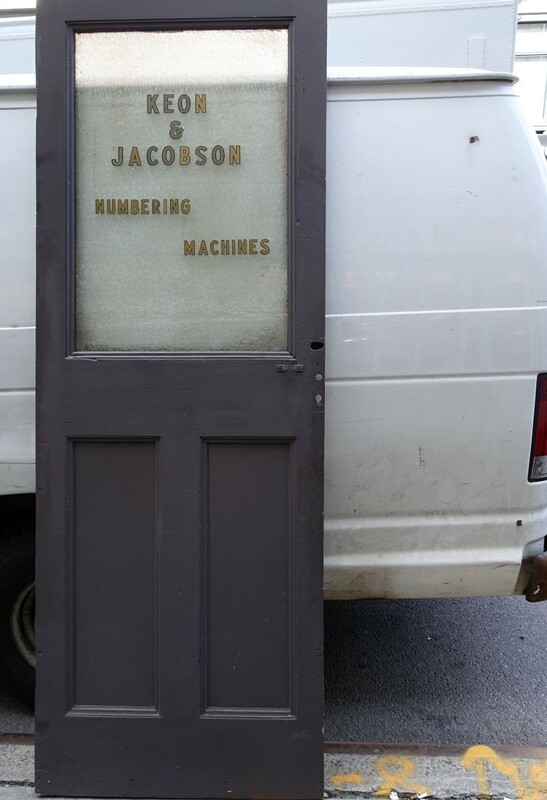 If New York City is the “city that never sleeps”, you could say that about the architecturologists at Olde Good Things. 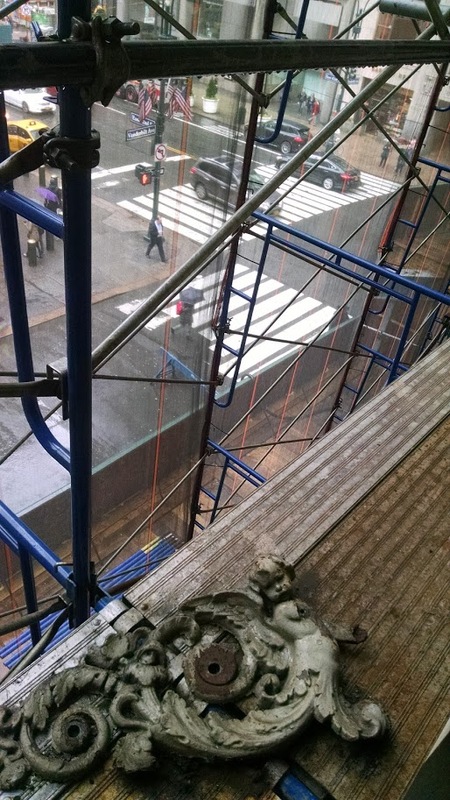 In order to pave the way for the city’s new fourth tallest skyscraper, known as “One Vanderbilt”, the former Warren and Wetmore building was demolished, but not before we extracted some of its most significant embellishments. 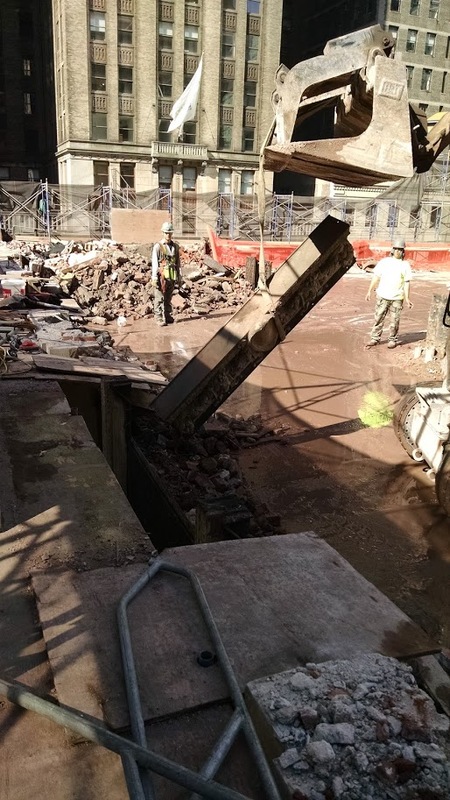 The building faced the west side entrance of Grand Central Terminal for a century, and our salvage artifacts are almost as close as you can get to having a piece of the historic station! 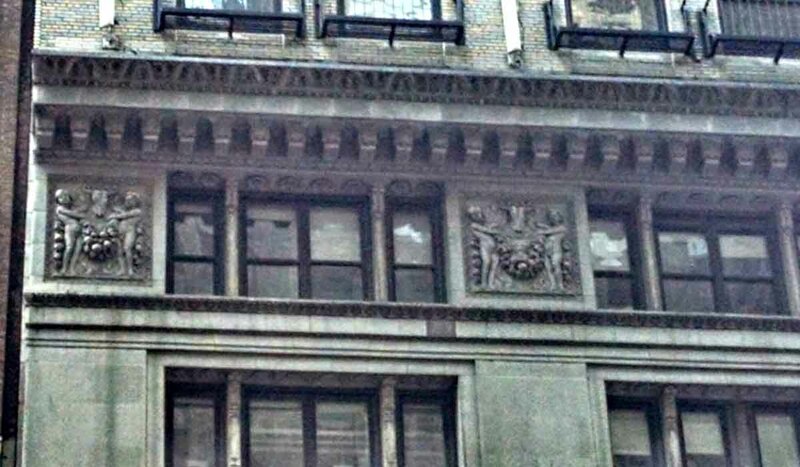 In fact, the Beaux arts architecture of the building’s facade was meant to reflect the architecture of Grand Central Terminal, which was also designed by Warren and Wetmore. 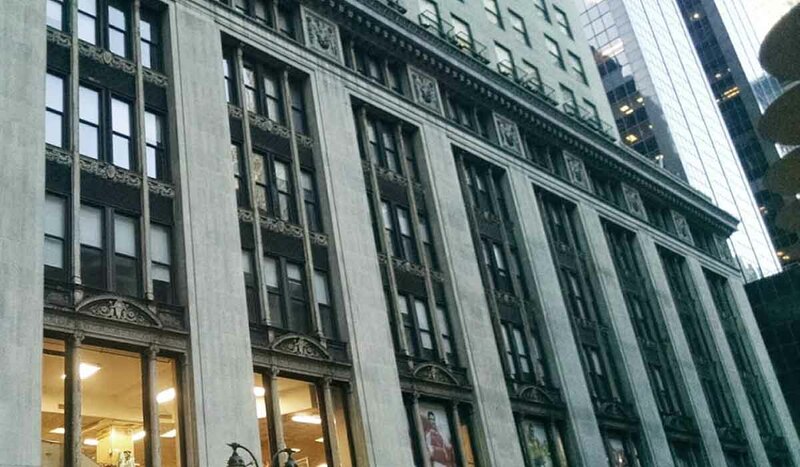 The terminal itself was the largest architectural and commerce deal in New York City at the turn of the century, spanning over 20 city blocks. 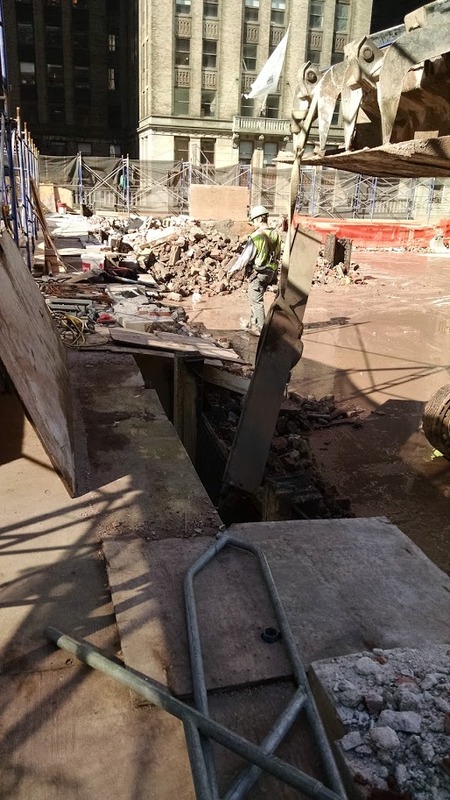 Our rescue at 42nd and Vanderbilt brings home the historical elements of a building designed and built to directly complement the train station concourse circa 1910. 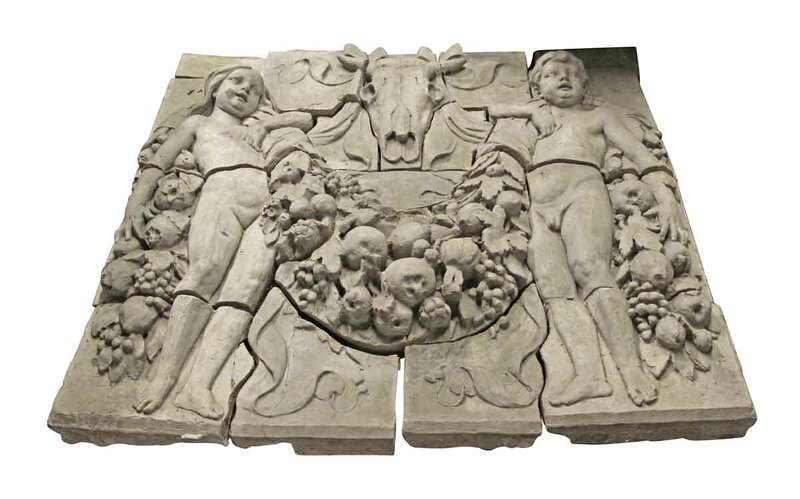 One of our most prominent salvage items is the cast iron figural frieze with double Bacchus faces from the building facade. 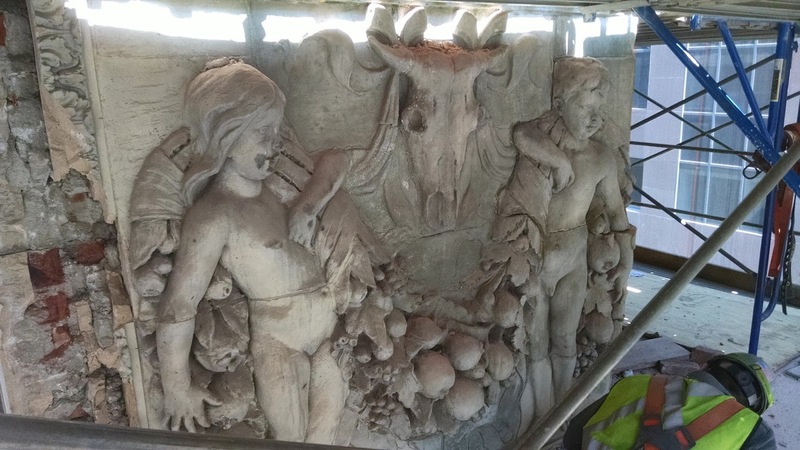 We were also able to preserve a captivating terra cotta frieze featuring children rejoicing amongst a bountiful harvest of fruit, as well as a treasure trove of structural fluted columns. I hope you will join us as we tirelessly explore and pursue the architectural wonders of our famous city, and maybe bring a piece of it home with you. Going “green” has been a popular theme chanted in Hollywood, schools, and corporate America over the last decade. Recycle, reduce, reuse – and close the loop, right? The truth of the matter is that Olde Good Things has been ahead of the “green” movement since we began back in 1995. 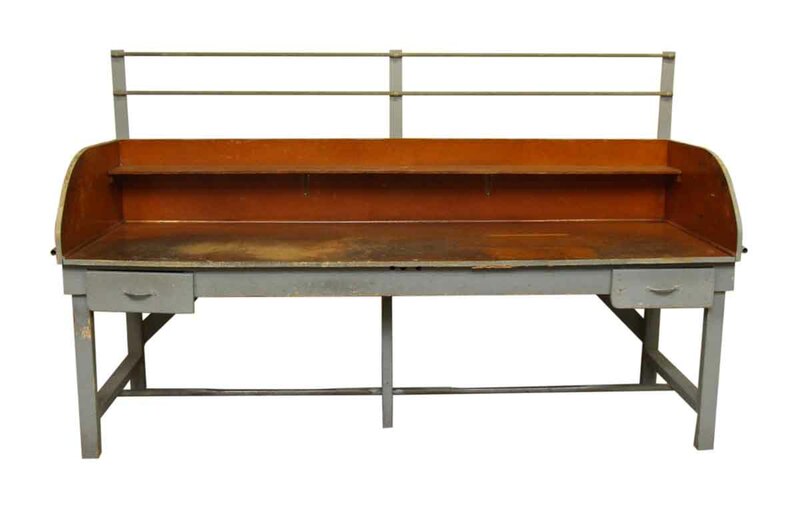 We’ve been salvaging, restoring, refurbishing, re-purposing, and reusing architectural goods since the day we opened, and we couldn’t be more proud of the results. According to the UN FAO State of the World’s Forests 2007 report, a report written to express the level of global deforestation, “the statistics on global production and consumption of wood fuel (charcoal and other energy uses) round wood (paper and other non-lumber products) and sawn wood (lumber). It estimates global production at 1.7 billion (46%), 1.6 billion (43%) and 421 million (11%) cubic meters.” These numbers are staggering, but when you stop to consider that these numbers are 6 years old (population and industry growth have increased steadily over the last six years), you shouldn’t be surprised that the number of trees cut down every year is nearing the tens of billions. 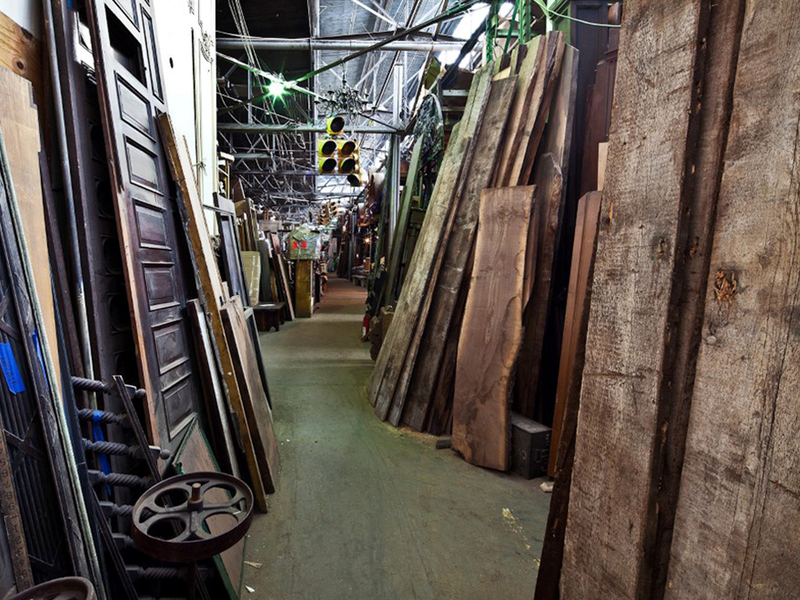 At Olde Good Things we know that trees are literally the life’s breath of the planet, which is why we go out of our way to include lumber and wood reclamation in our architectural salvage efforts. 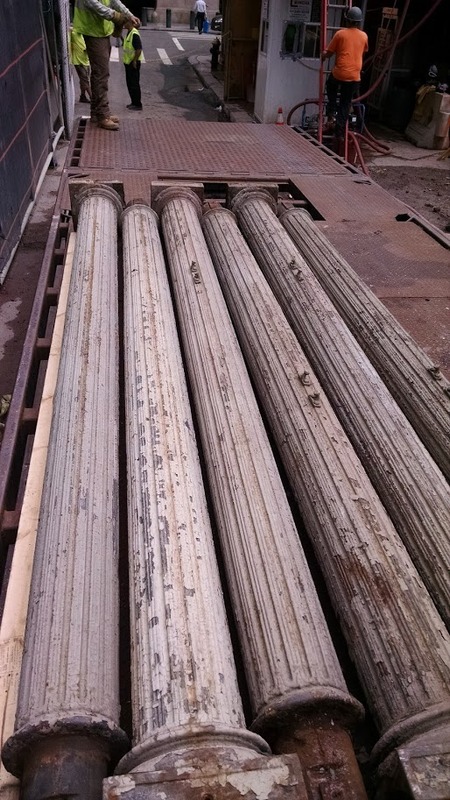 We salvage wood from old barns, churches, farm houses, and other structures dating back to the late 1800s. 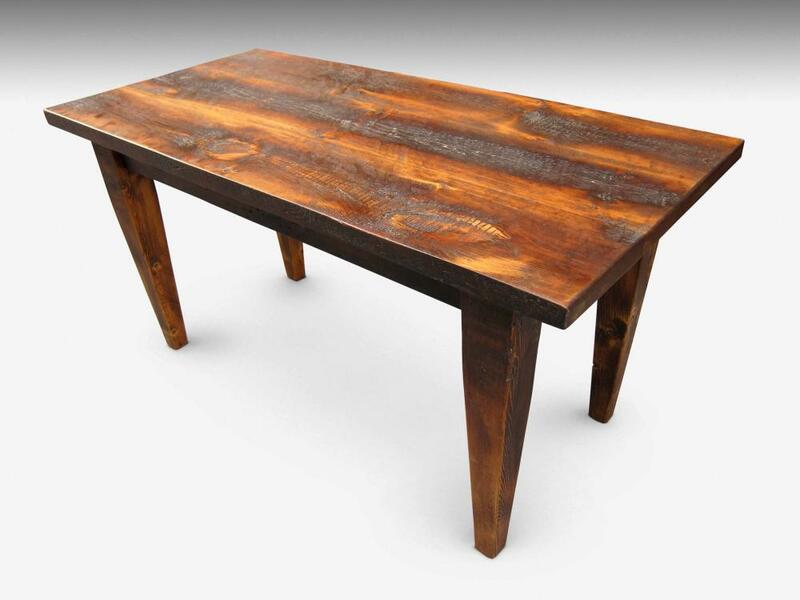 This reclaimed wood isn’t used as fuel or ground down into saw dust, it is lovingly and skillfully restored and used to handcraft our more beautiful farm tables. 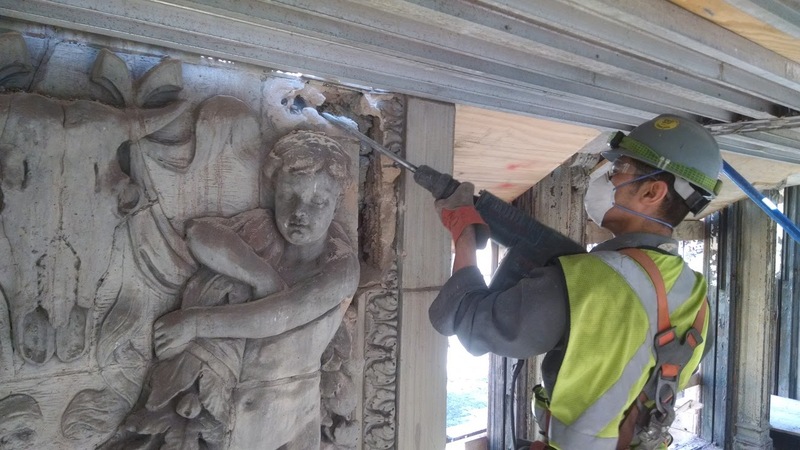 Not only that, much of the wood pieces we salvage from churches and other period structures are restored and reused as architectural touches in many home remodels throughout the US. 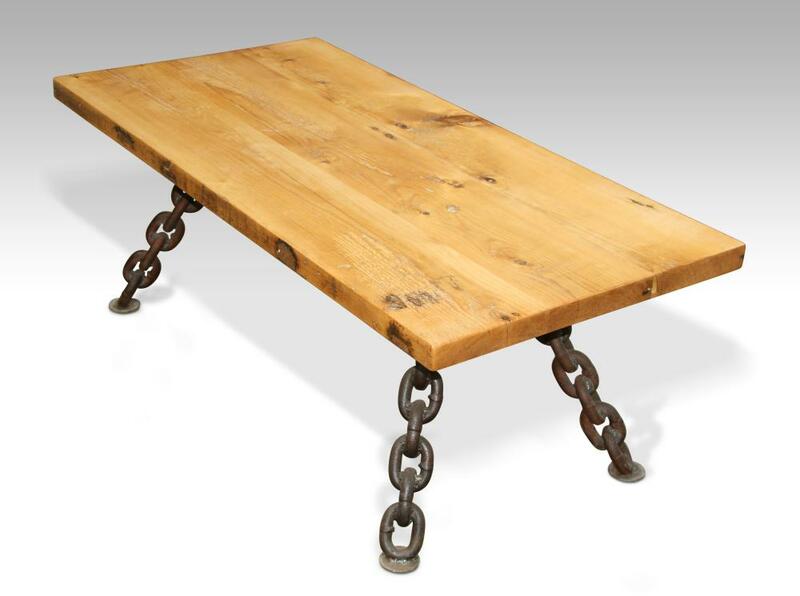 When our customers choose to use reclaimed or salvaged wood in their home remodels or interior design projects, they are choosing to bring history, beauty, and an element of “green” into their lives. Between the Civil War and WWI, the US became a booming industrial society. Factories, warehouses, and mills popped up all over the face of the nation – much like a rash that had been left unchecked. 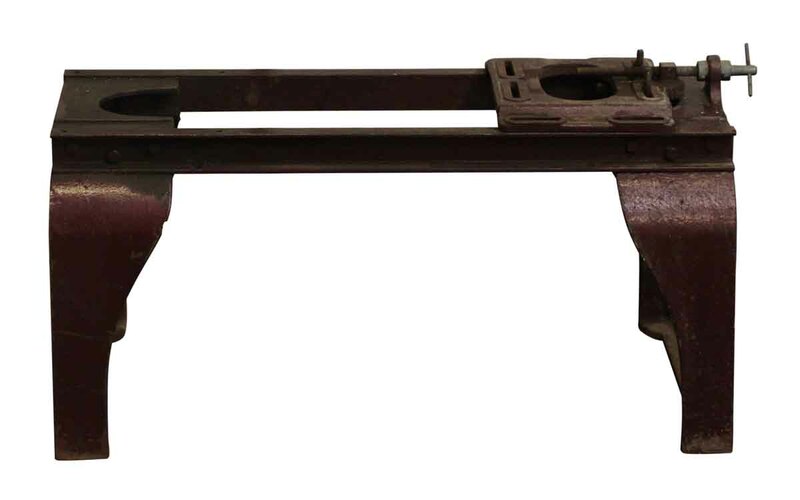 After WWI many of the factories that were used to build household goods, automobiles, farming equipment, and textiles were put to use building war machines and service goods for the men fighting overseas. While this may sound like a business boom for the industrial complex, it was a shot in the gut. Much of the goods made were manufactured at a fraction of the usual costs, and with so many men fighting in the war, factories were forced to employ women (women were thought to be weaker, slower workers). When the war ended, despite the influx of male workers seeking their old jobs, many of the factories that had employed them had fallen on hard times. 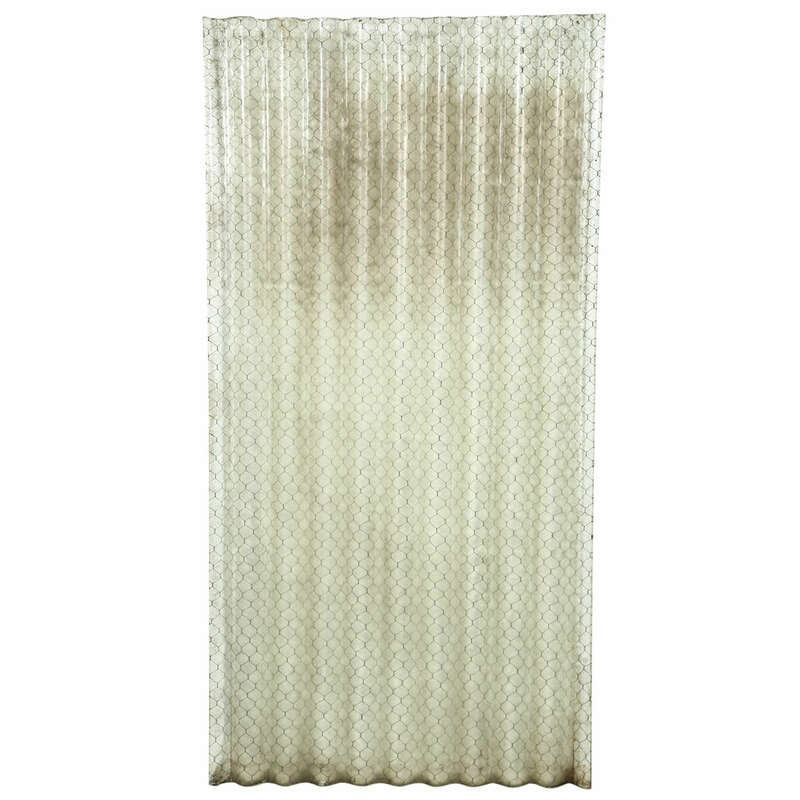 Fast forward to 2013; those factories from the historical Industrial era are still standing – hollow skeletons where an American Dream’s heart and soul used to be. 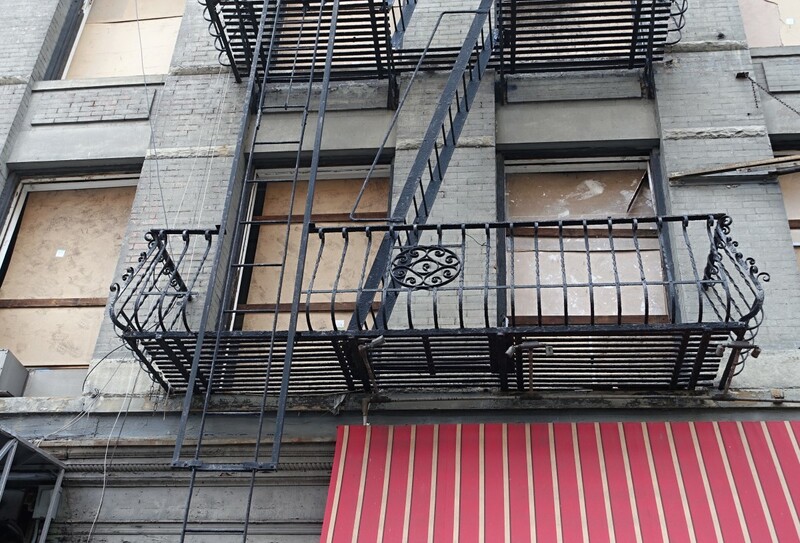 These hulking structures are condemned, dangerous, and marked for demolition. 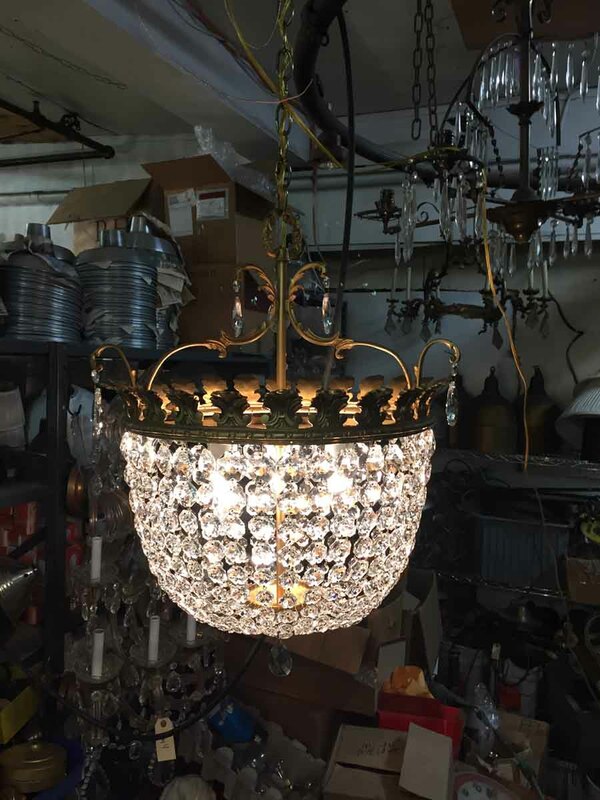 Rather than allow much of the interior industrial goods to fill a landfill, Olde Good Things brings along a squad of skilled salvage experts and we remove the lighting fixtures, the work benches, the doors, the glass, the machine bases, and anything else we can haul away in our trucks. 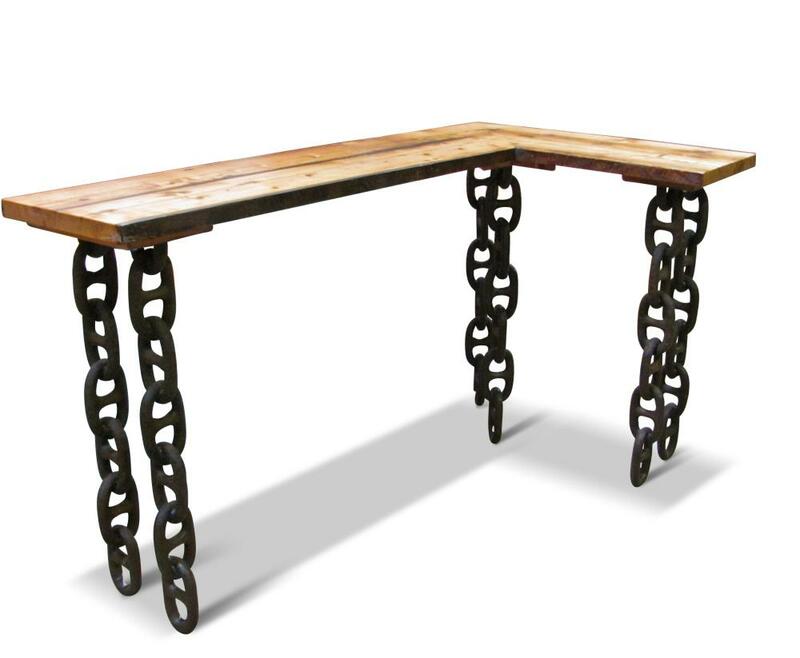 Industrial chic is a growing trend in interior decorating circles, and Olde Good Things loves providing home owners, designer/decorators, and architectural firms with authentic, industrial items for their design and build projects. 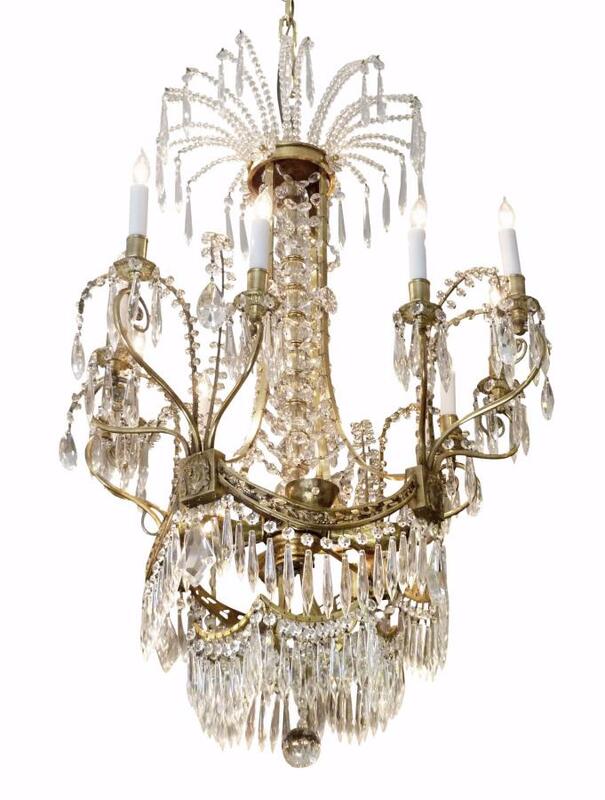 We at Olde Good Things believe that if it can add value, beauty, and history to someone’s home, it shouldn’t go to waste. We believe that “green” is beautiful, useful, and worthy of our time and efforts. If you’d like to turn your next home remodel or redesign project into a “green” design and build, visit one of our locations to take a tour through our growing inventory. 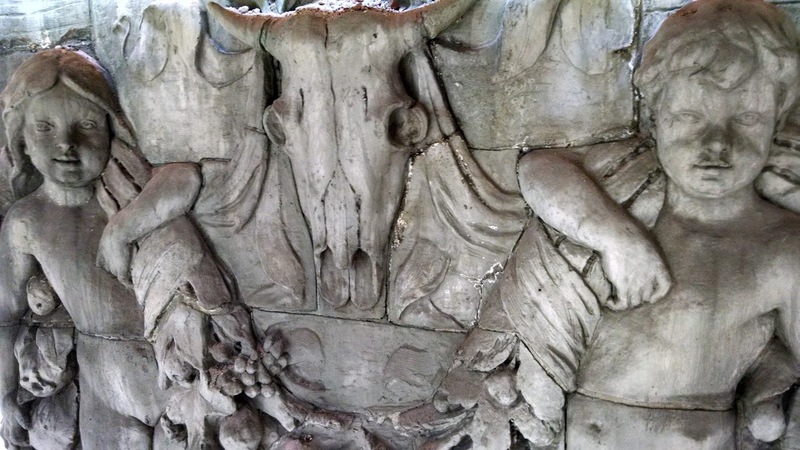 One of the best parts of being the number one architectural salvage company is the country is getting to preserve items of interest from famous buildings all over the United States. 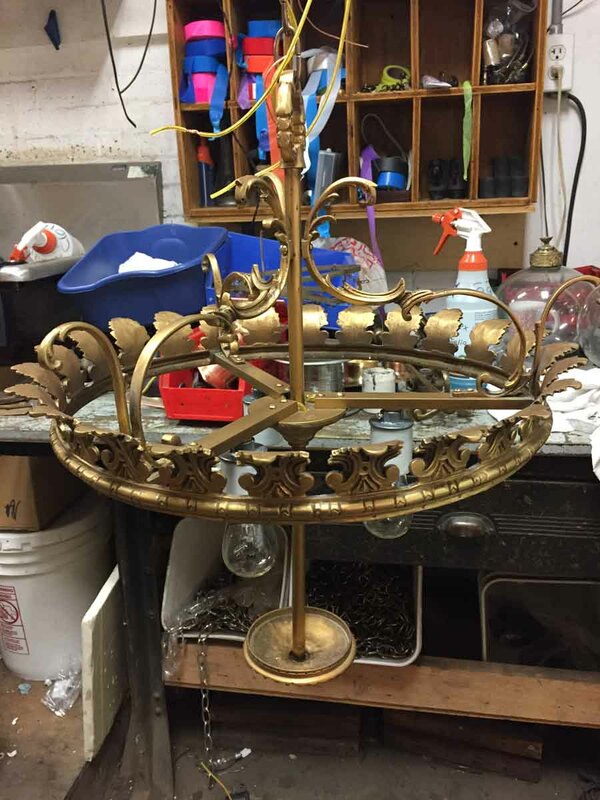 These pieces provide our employees and our customers with a very real sense of our nation’s history, and having the privilege of storing and/or restoring these amazing pieces is something we truly appreciate. 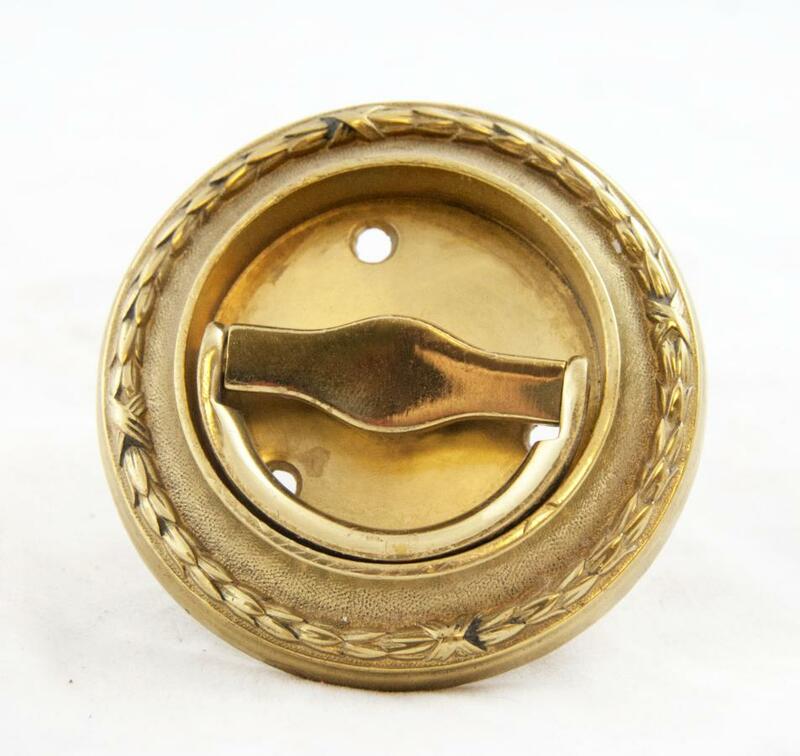 To that end, we’d like to take the time to share with some of our online customers some of the pieces we’ve come into contact with here at Olde Good Things over the years. 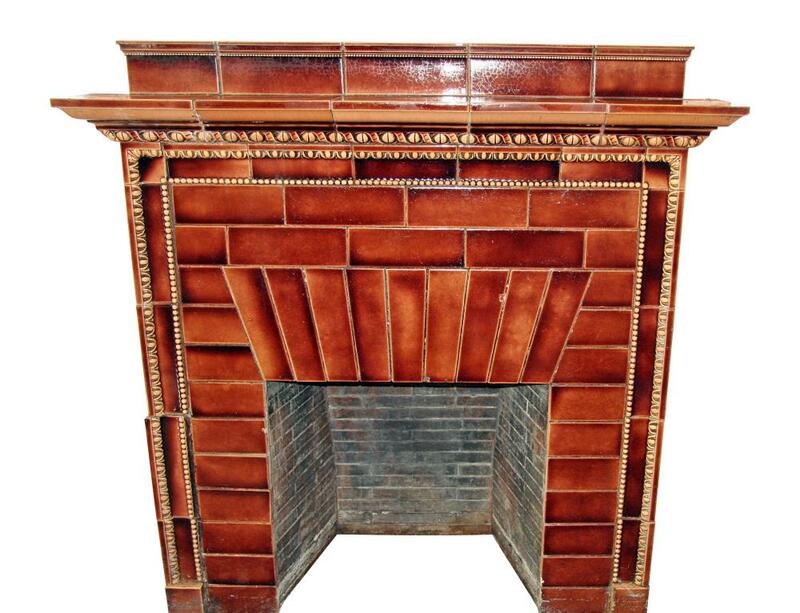 This gorgeous ceramic tile mantel was salvaged from the famous Jonsonia Iver Johnson building in Fitchburg, MA. 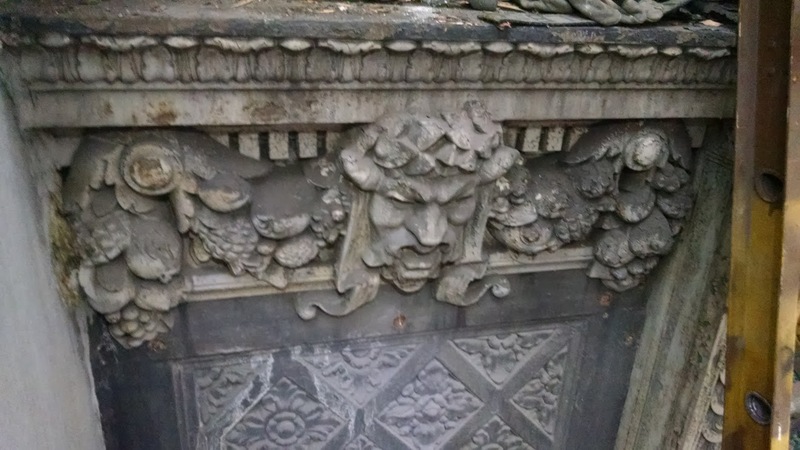 The building was damaged by fire in 2011, but as you can see, this piece remains in good condition. 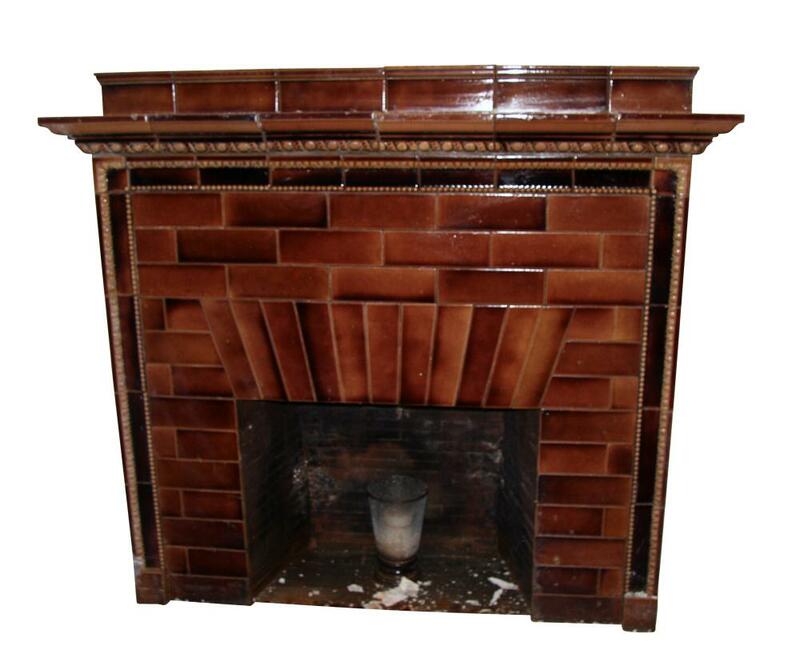 We were able to salvage two of these ceramic mantles from the building. 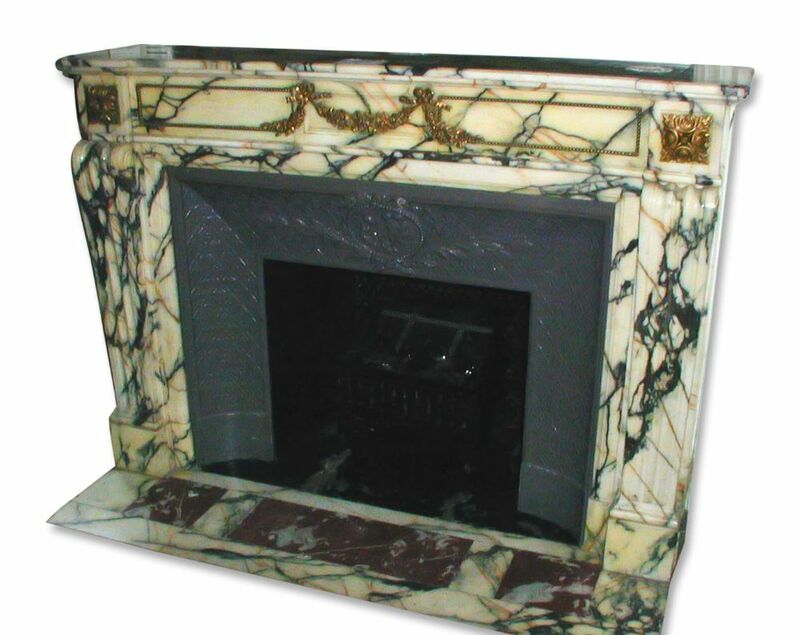 The richly colored tiles are beautifully crackled, and the mantles feature some amazingly beautiful detail, which you can see in the second picture above. 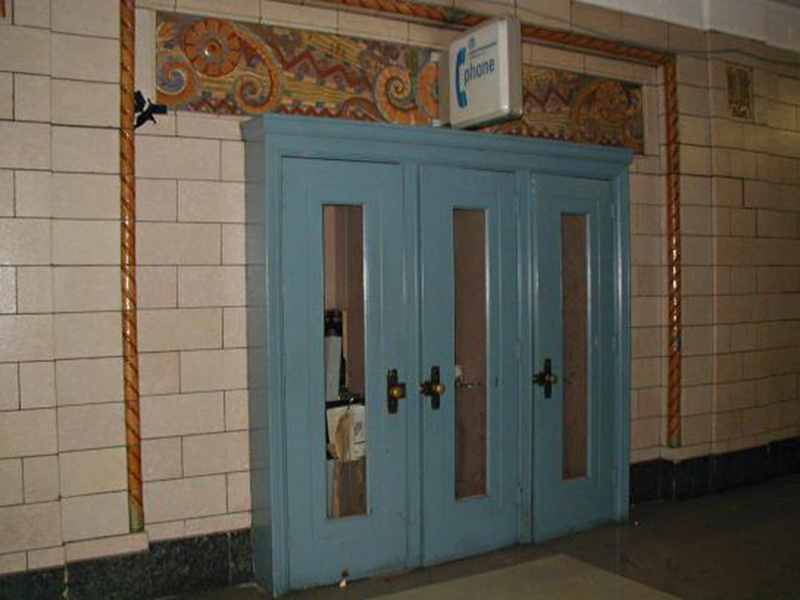 These pieces were manufactured by the Hartford Faience Co., and can be found below. 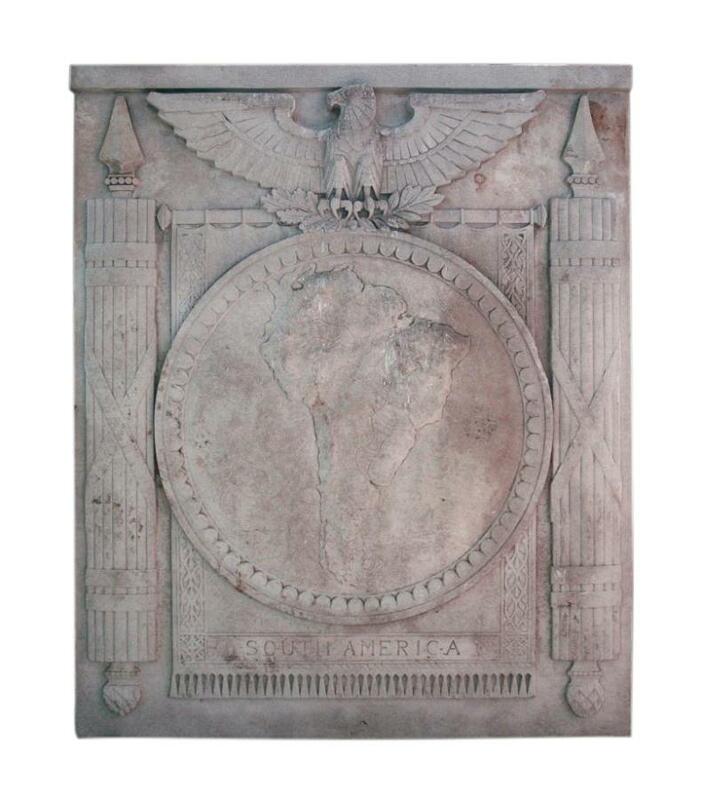 This beautiful architectural plaque was once a part of the National American Building, which was located on New York City’s Madison Avenue. 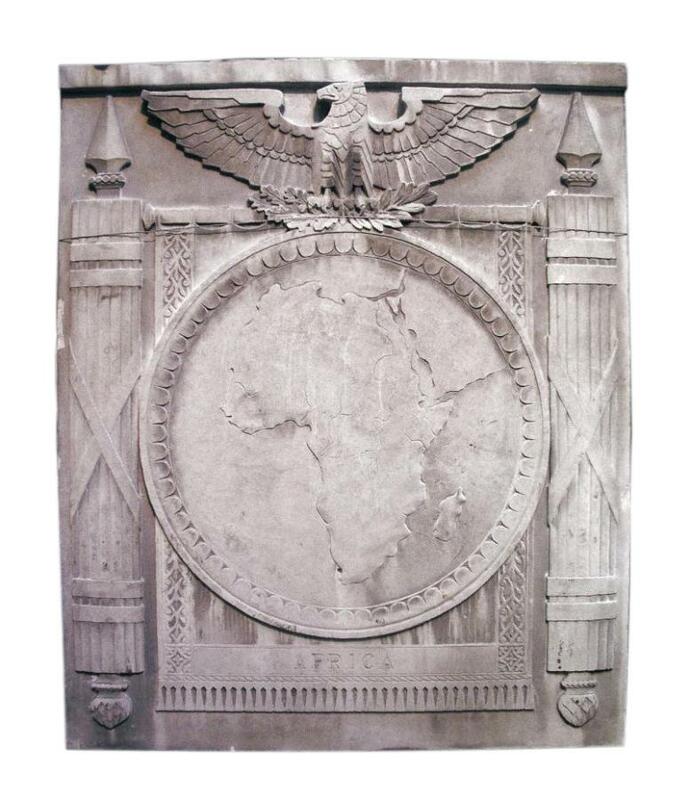 The building was designed by renowned architect Joseph H. Freedlander, who firmly believed that architecture created for business and industry could still be beautiful. 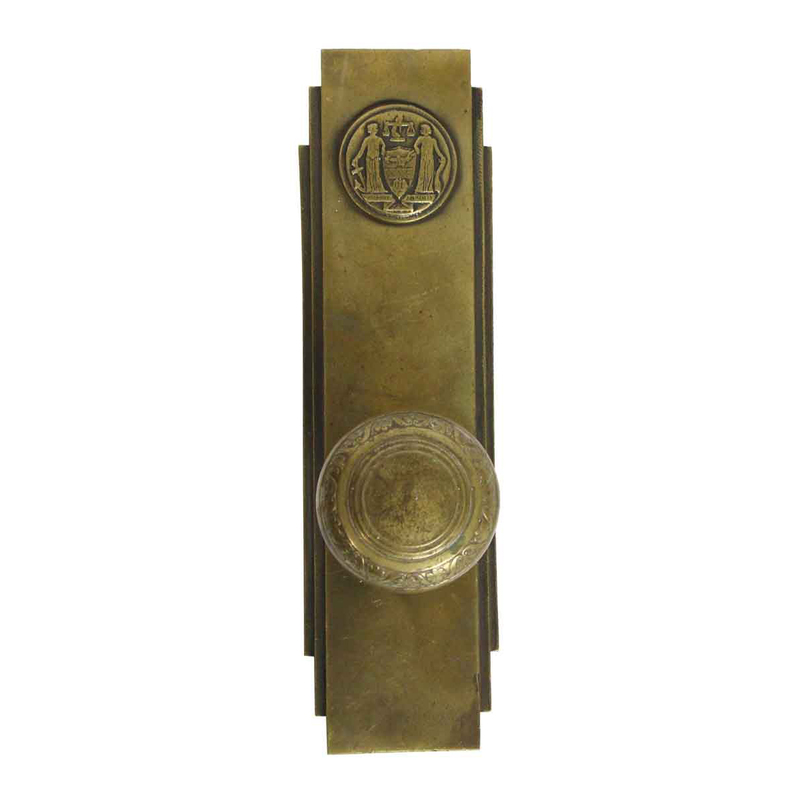 The plaque is made of heavy bronze, and has a gorgeous patina. 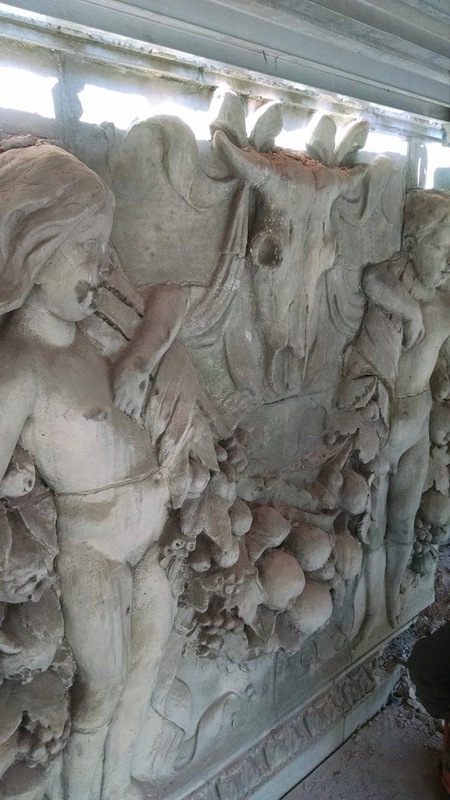 The carving on the plaque is incredibly detailed – from the delicately draped clothing worn by the figures to the rope edging surrounding the piece. This lovely plaque would make an excellent addition to any home or building. 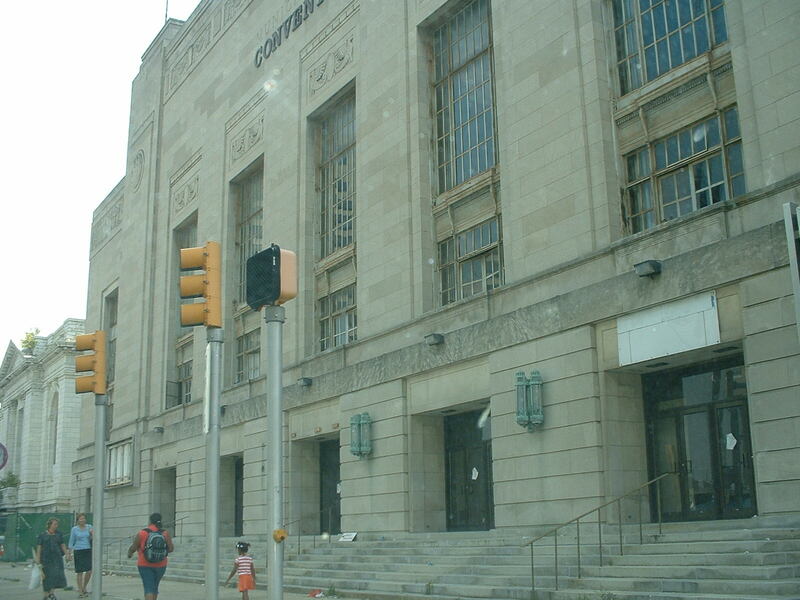 The Pennsylvania Civic Center was erected in 1929 and was used for many years to house events such as sporting matches and political conventions. 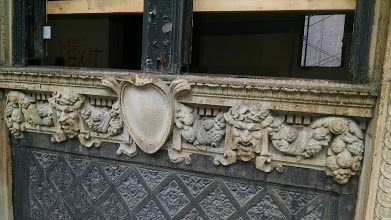 Our trip to the building before it’s demolition allowed us to salvage a number of terra cotta and limestone friezes, as shown below. These pieces formerly hung on the wall of the building, and each of these pieces was one of a kind. 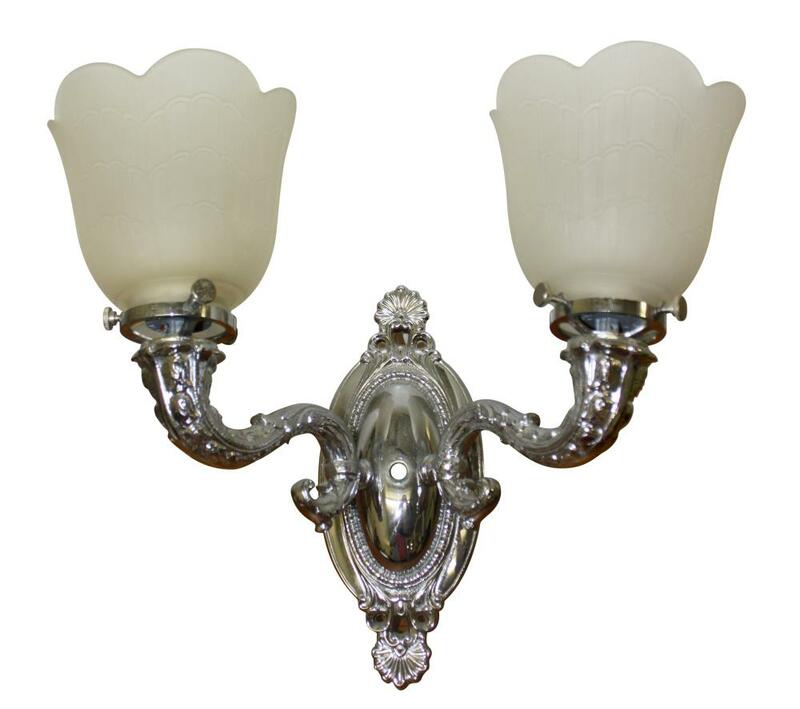 They would make a unique decorative addition to your home or office, whether used individually, or hung as a set. 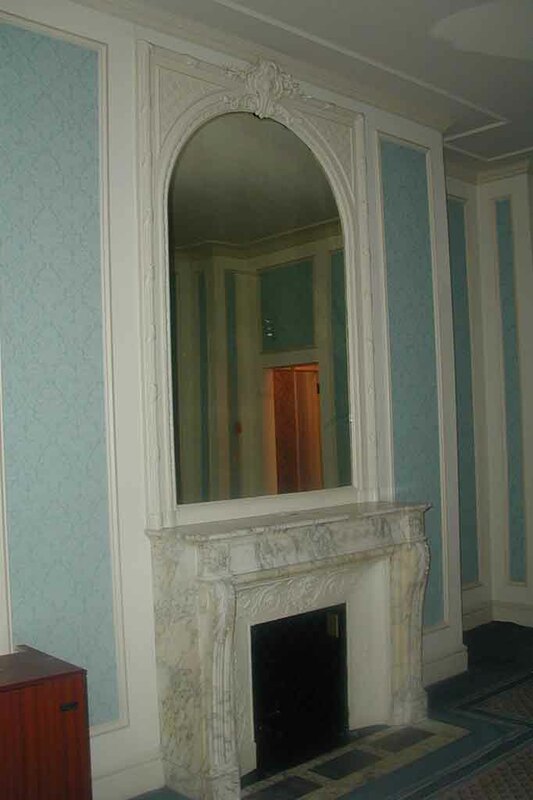 You can see them, as well as a number of other items from the building in our inventory below. 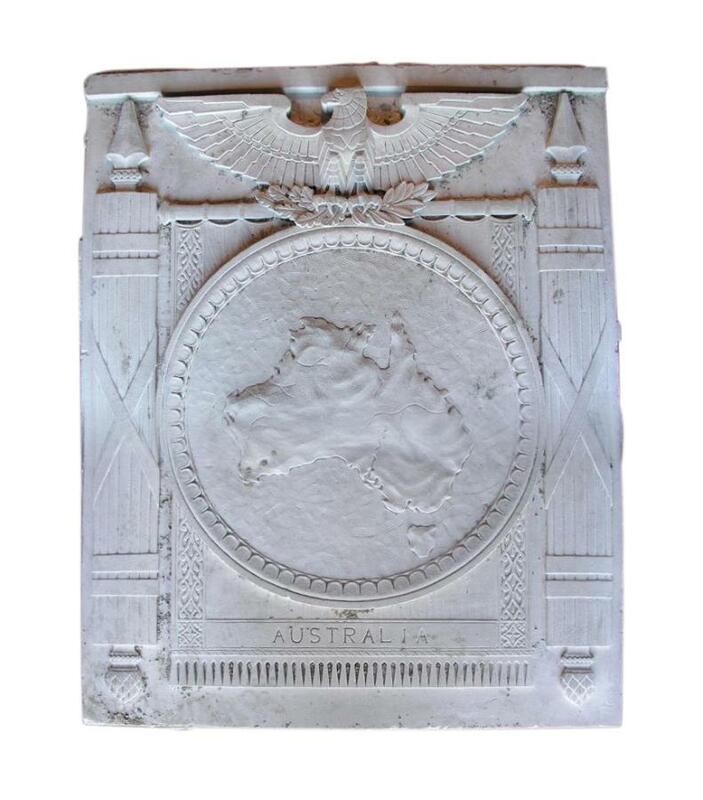 An item salvaged from one of our country’s famous buildings can not only provide you with a unique and interesting decorative piece, it can also give your home or office a real feeling of history. 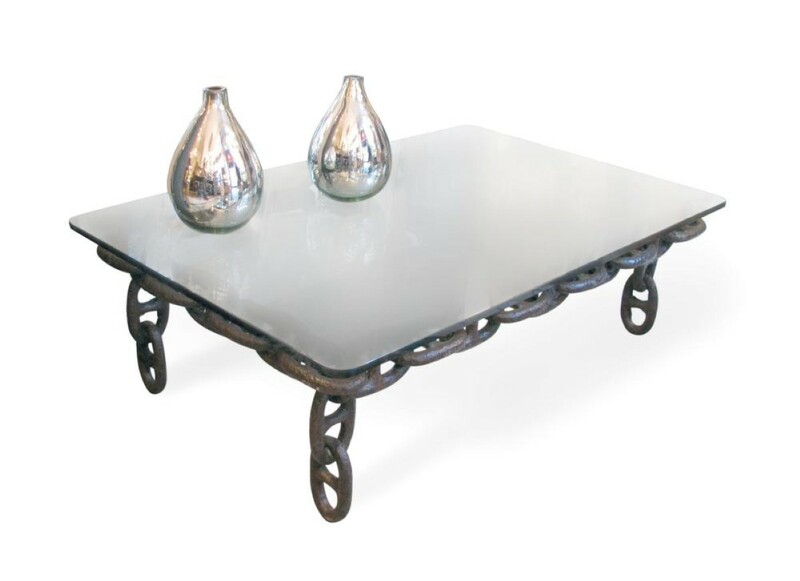 These pieces are ones that will make excellent conversation starters, and really add to the style and tone that you are trying to create in the space where you live your life. 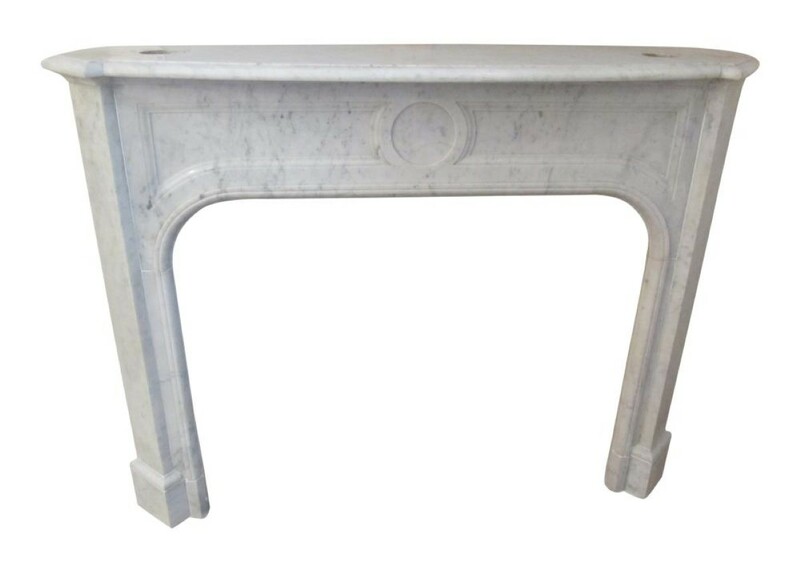 If you’d like to take a look at more of our famous architectural salvage, contact us for more information on any piece featured in this article. 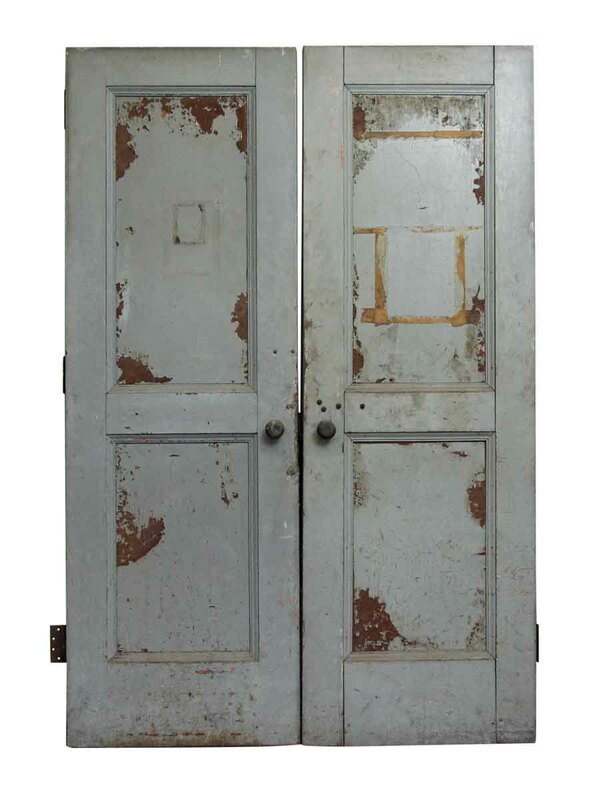 In Scranton we sit on two warehouses piled high with vintage glass, picturesque sheets of tin, salvaged wood paneling, doors, glass, and all the marble you could imagine. 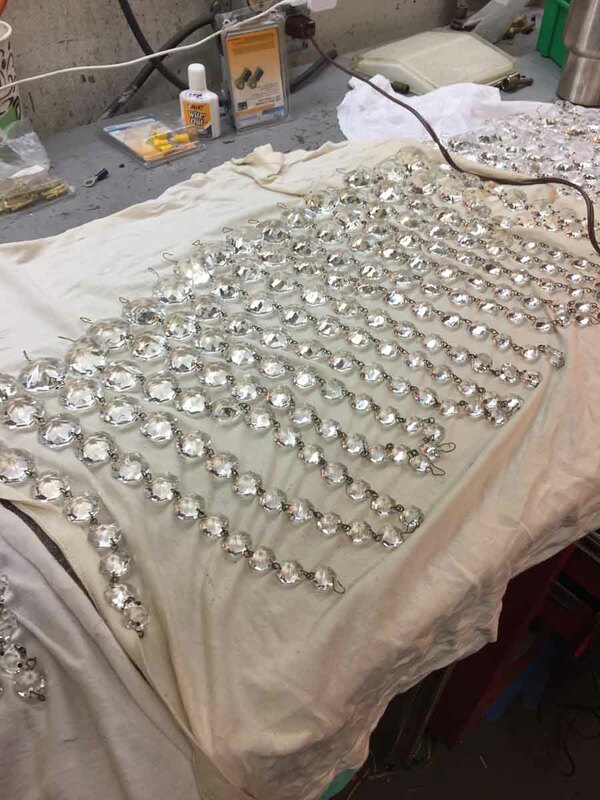 It’s a designer’s paradise. 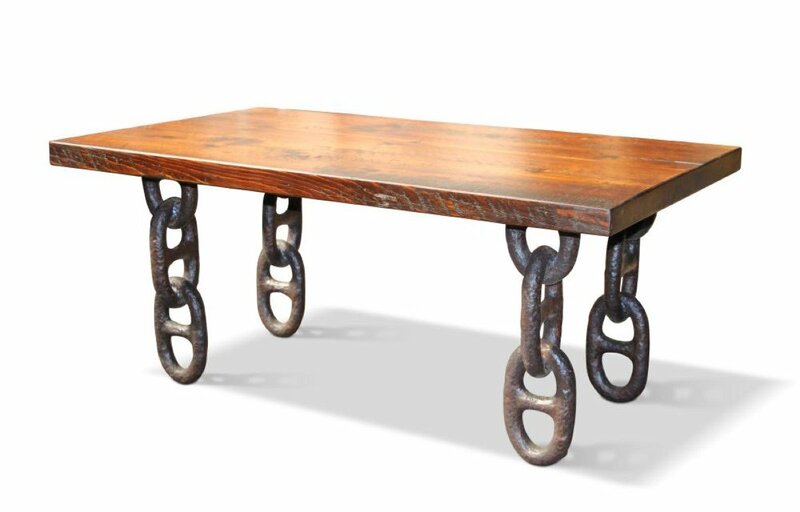 In those warehouses we take these raw materials and spin them into altered antiques, pieces that pay homage to the riches of yesterday, but also respect the modernity of today. 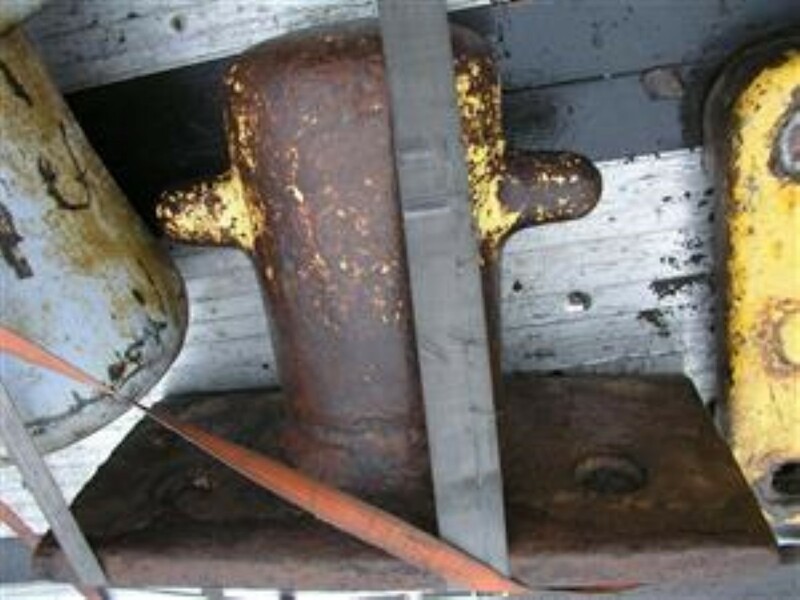 Ten years ago, we met a retired Staten Island Ferry headed to the junkyard. 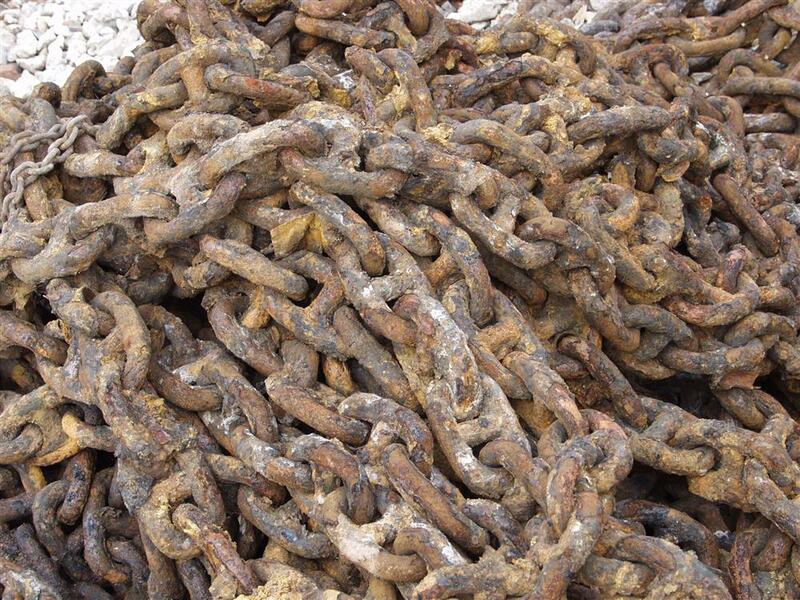 Most of the ship had already been cut down for scrap, but we were able to salvage two truckloads of anchor and chain. That week we hauled it to the warehouse. Why? 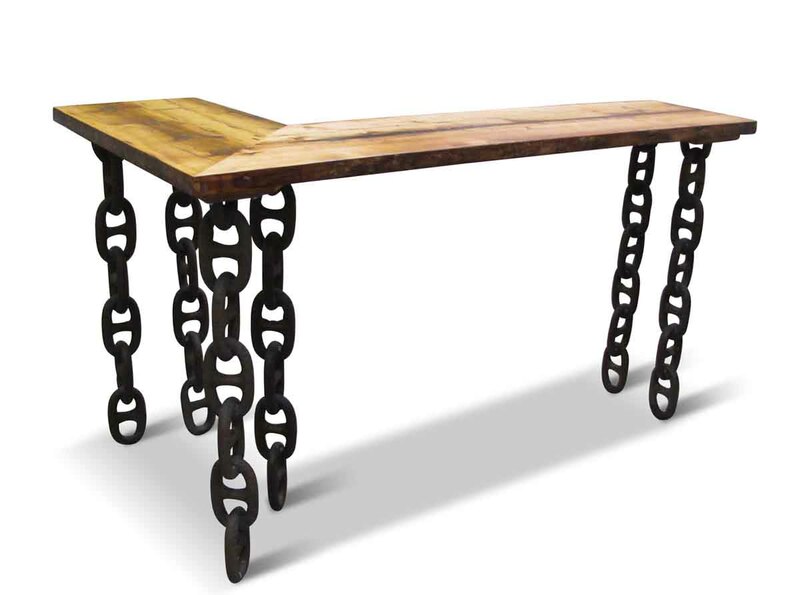 We love the cool solidarity of metal, the gradients and color of wizened wrought iron, the flecks of original paint and this chain in particular. 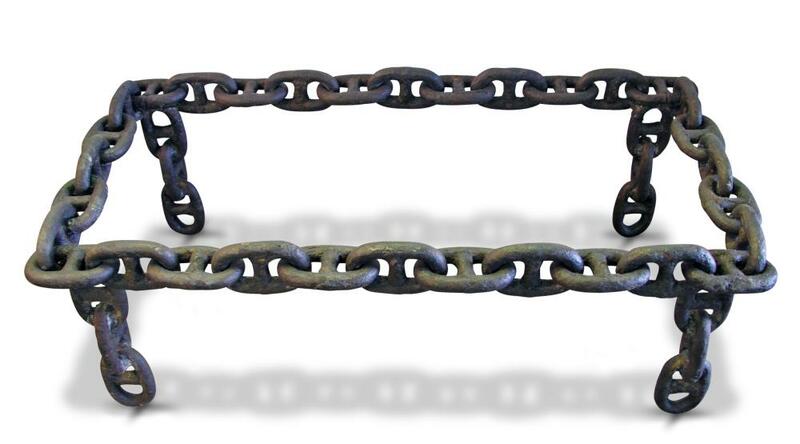 Called bar chain, each link has a bar running down the center, which keeps the chain from tangling as it drops anchor. Showcasing these links, tables immediately emerged. Round, square and rectangular with tops of marble, glass, or reclaimed pine, these pieces became dining tables, coffee tables, end tables, display tables for boutiques (Tommy Hilfiger commissioned 200), and even breakfast nook eateries. We had to get more chain! 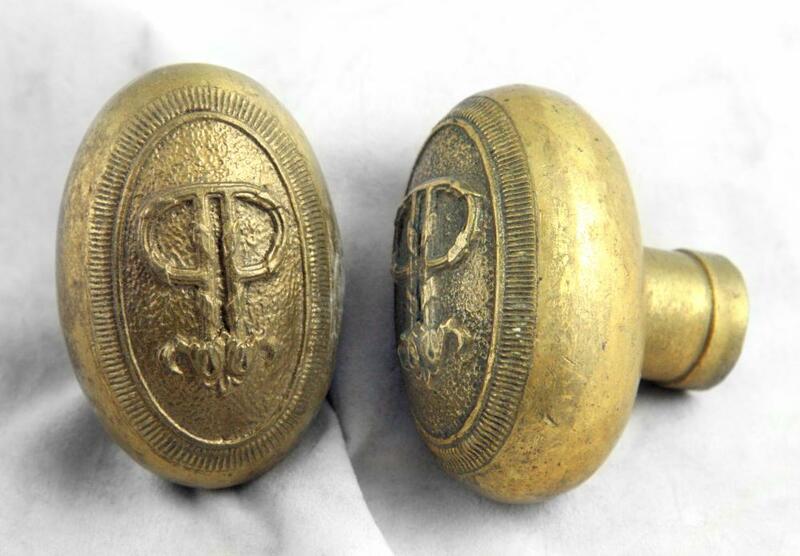 We found more in Florida, salvaging from a boat in the Miami River, links were four inches wide, six inches long and five-eighths of an inch thick. 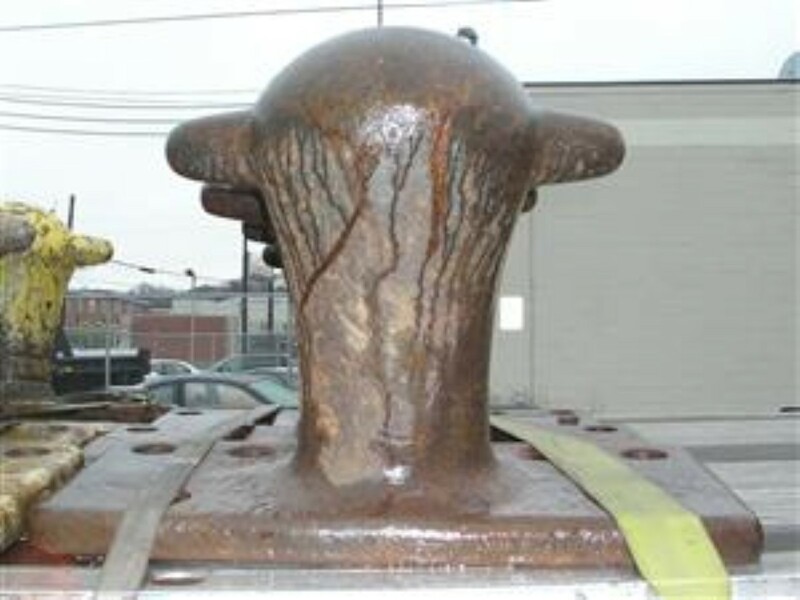 In all, the trucks carried 80,000 pounds of bar chain to Scranton. Stocked back up, soon lamps followed tables. 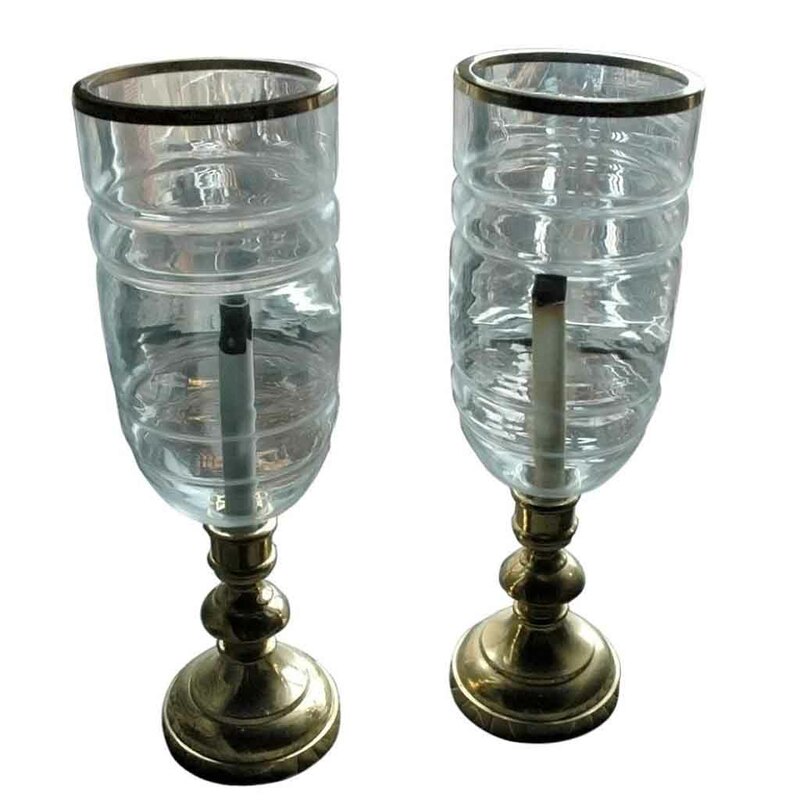 Four feet standing lamps or sold in sets of two to cap off a chesterfield, they are the perfect salute to old becoming new. 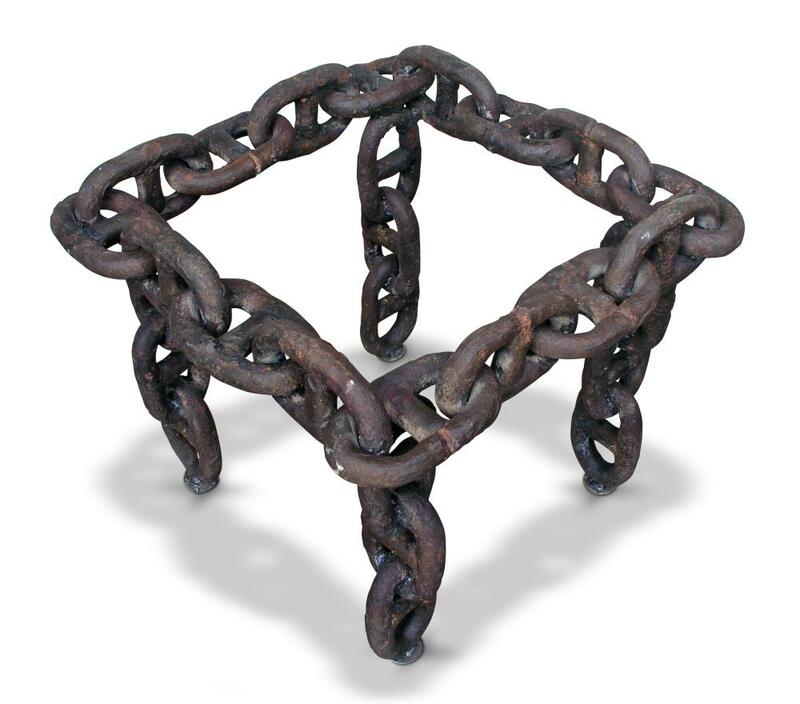 We are still designing new chain link pieces. 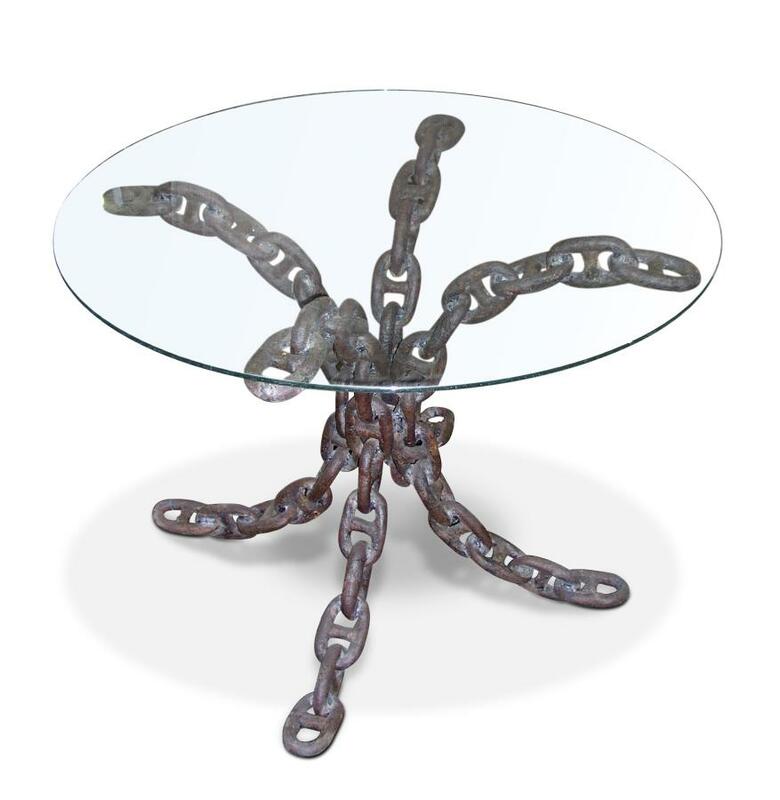 Send us your ideas and we will design a piece. 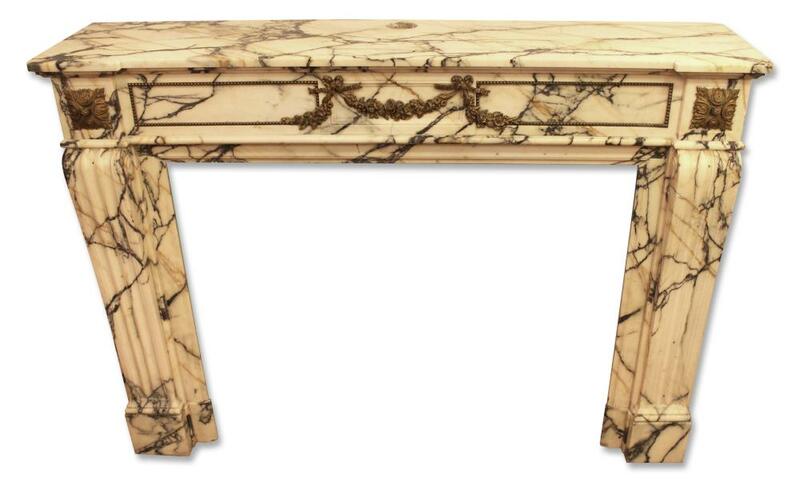 Lastly, send us a pic of the piece in your home! 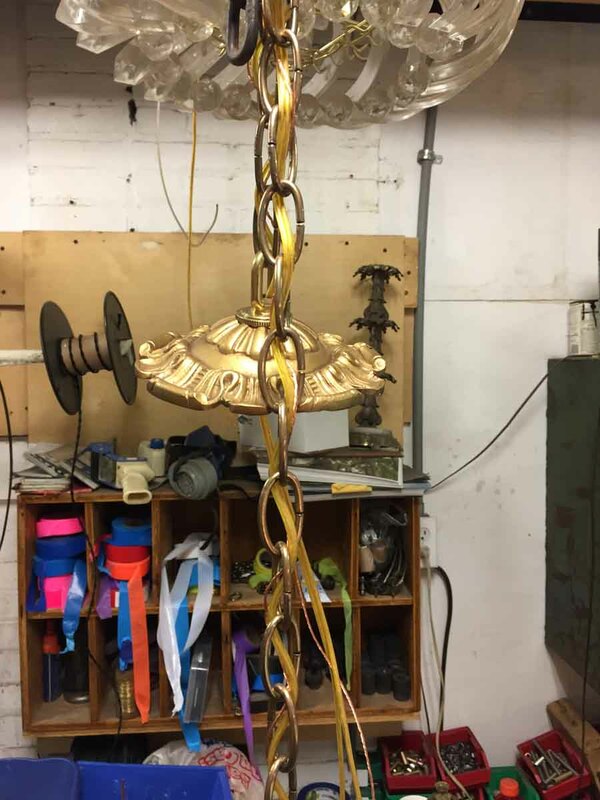 We found this chain in a shipyard. 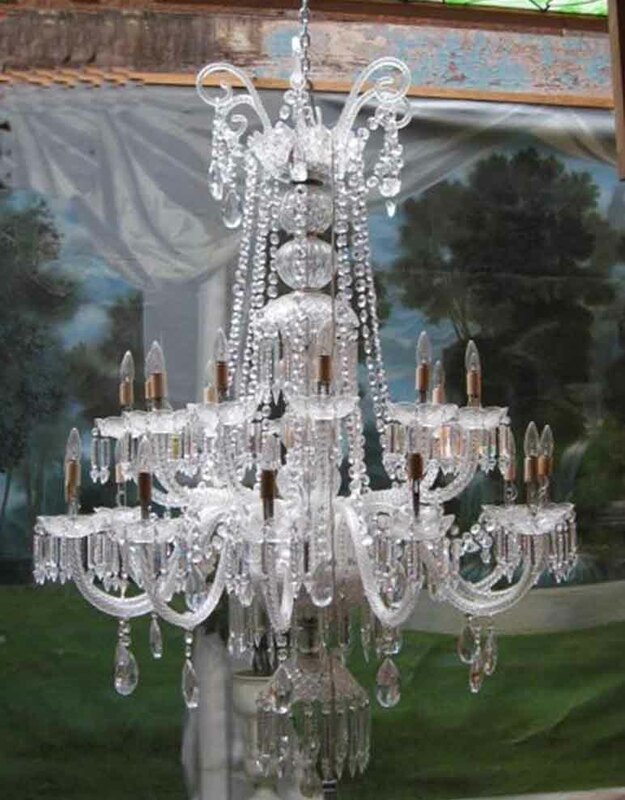 To see it re-purposed and posing happily in your living room?! Well, THAT is the missing link. 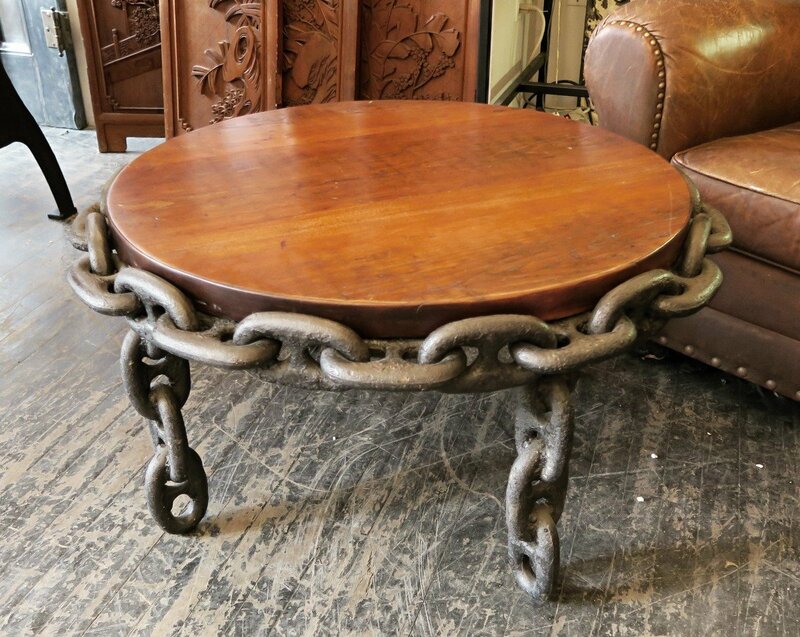 View this particular chain table at our Bowery NYC store. 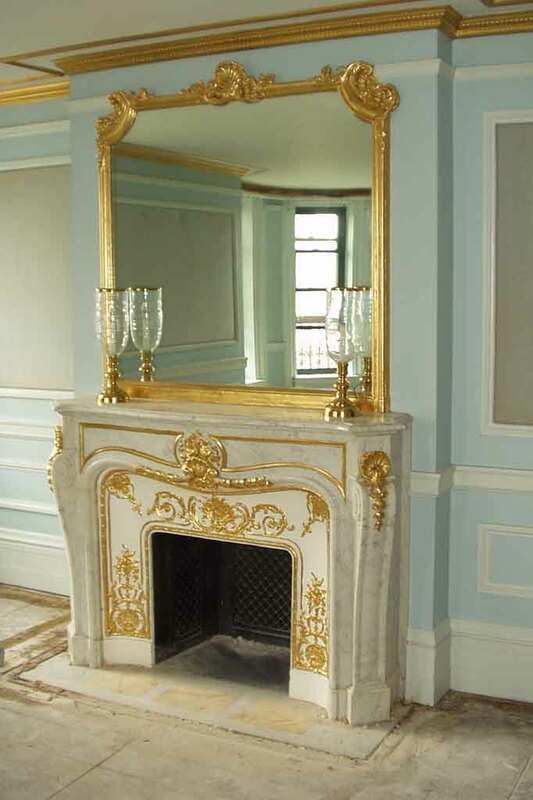 When the new owners of the luxury Plaza Hotel in New York City, decided to renovate and transform its interior in 2005, Olde Good Things found a plethora of beautiful architectural salvage items perfect for re-use. This world-famous hotel is a landmark 20-story Manhattan structure overlooking Central Park originally opened in 1907. It is the legendary home to “Eloise” as well as many real life famous performers and guests. 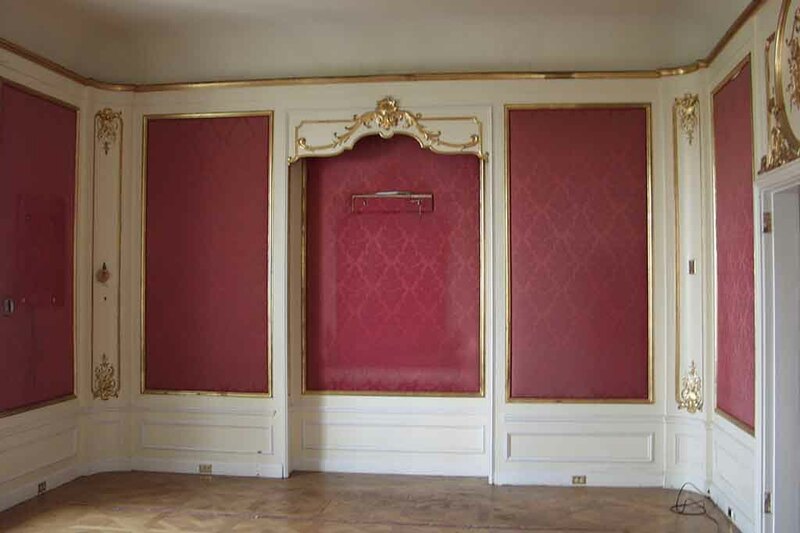 It has also been the meeting place for important political meetings over the years, if the walls could speak, what history (and secrets) we would hear! 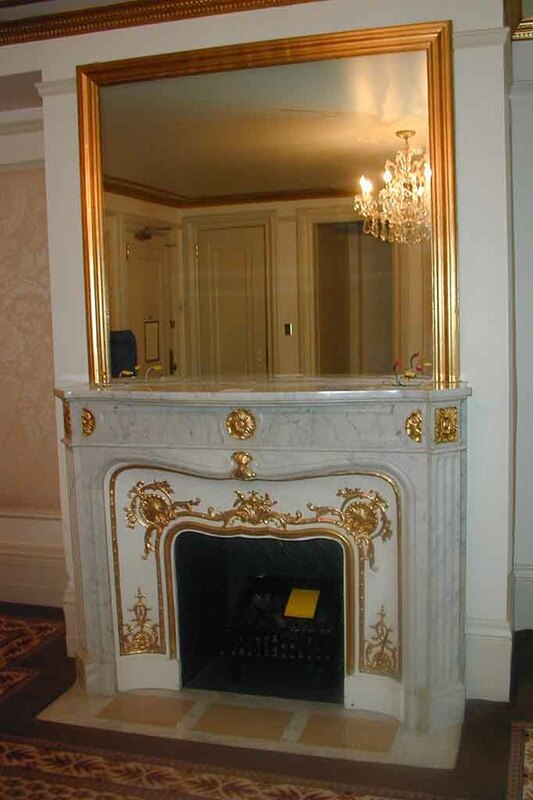 Prior to its renovation, at a tag sale by the new owners, we acquired over 100 marble mantels, as well as over-mantel mirrors, doorknobs and decorative iron grills. Many other admirers attended this sale and took away souvenirs such as bathrobes and slippers. 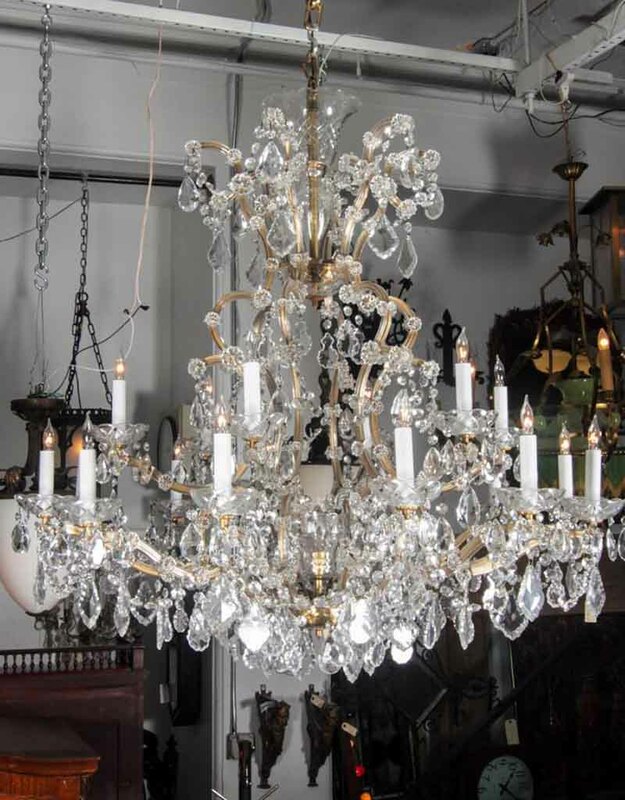 This world famous architectural salvage took place in June – July of 2005. 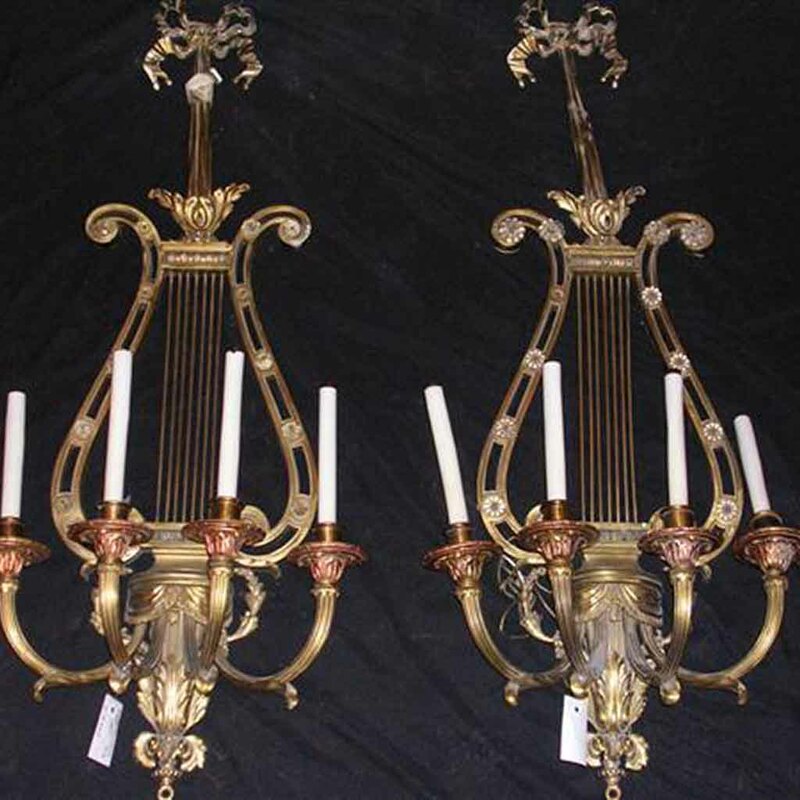 The following gallery is just a sample of some of the breathless architectural pieces we purchased from this legendary landmark. 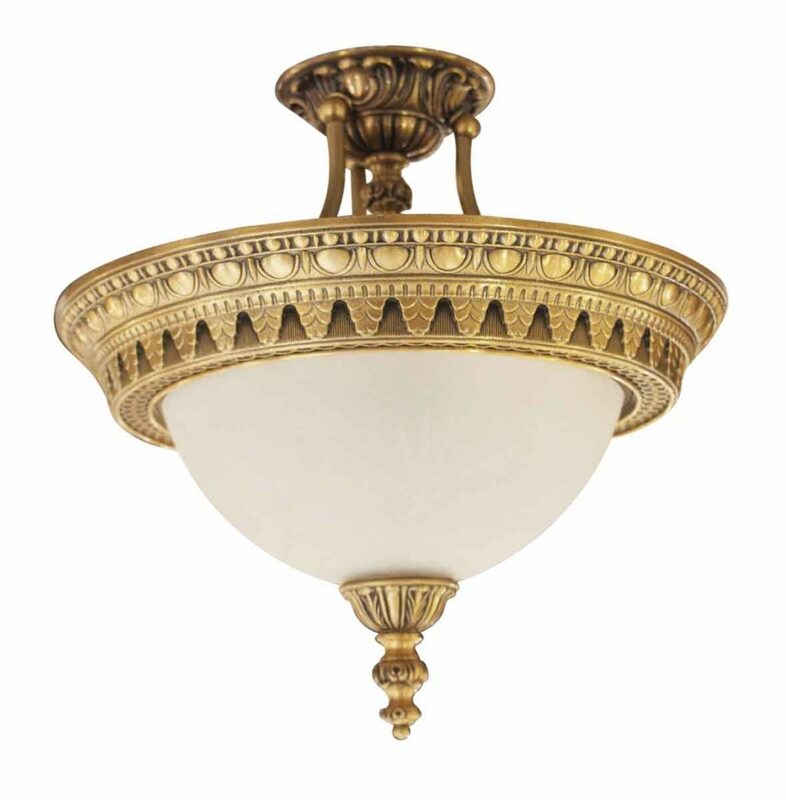 As time went by, we acquired original lighting from the Plaza Hotel to add to our inventory of architectural pieces from this historic landmark. You may be wondering, well are there any pieces left? 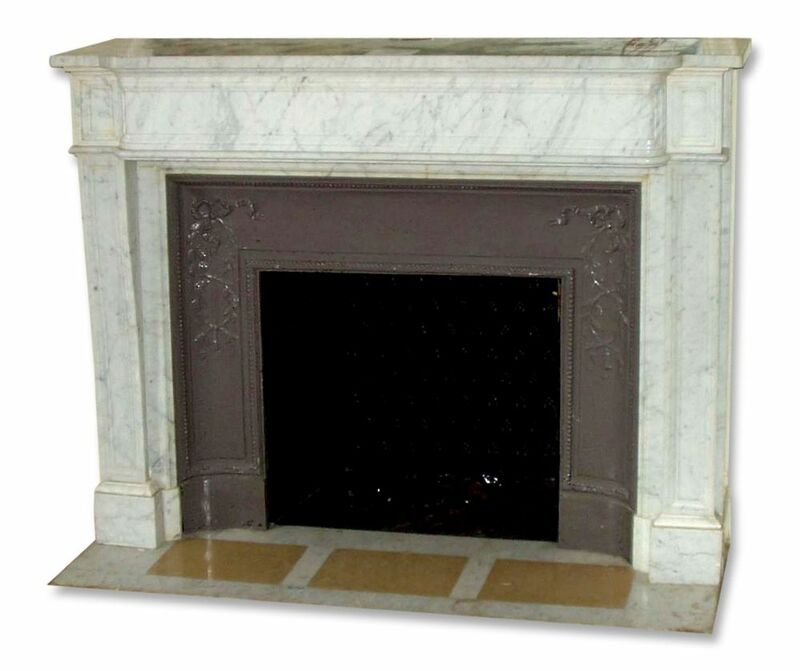 The answer is yes, we still have a limited supply of Plaza hardware, doors, lighting and marble mantels…. 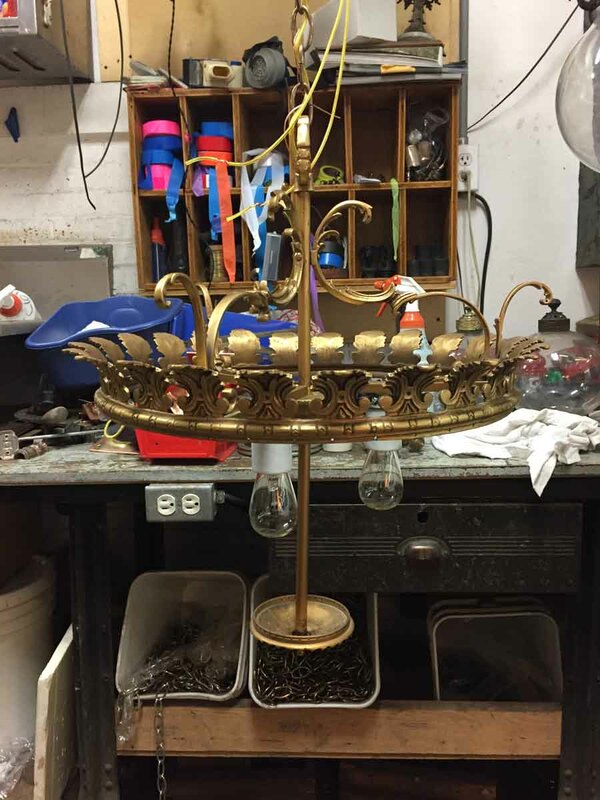 Below see pictures of a basket chandelier, which once graced the hallways of each hotel floor, being carefully dressed and rewired to be sent into our Bowery location in NYC for resale. 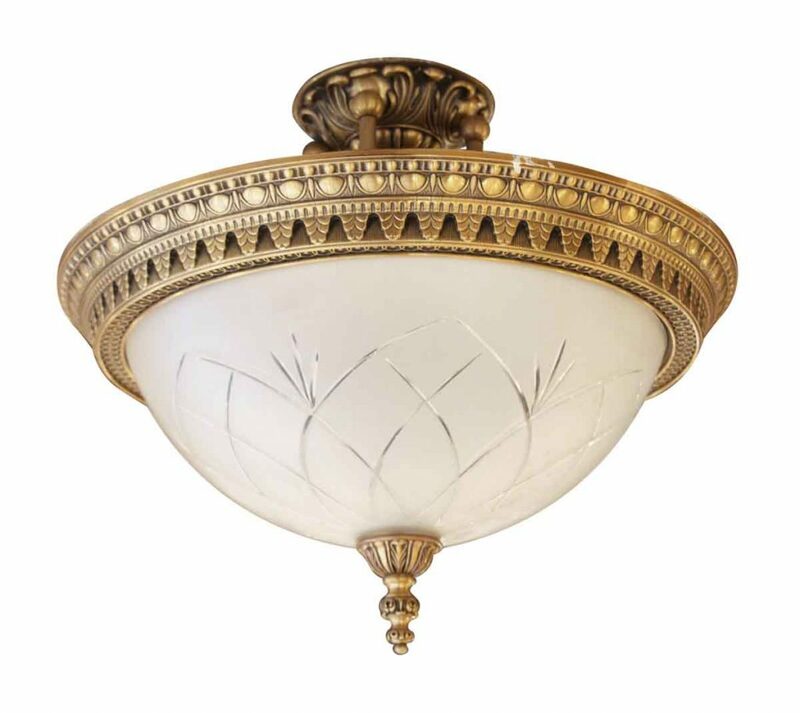 See below available emblematic knobs, matching plates, door plates, interior doors, sconces, pendants, chandeliers as well as several styles of marble mantels all reclaimed from these luxury suites.